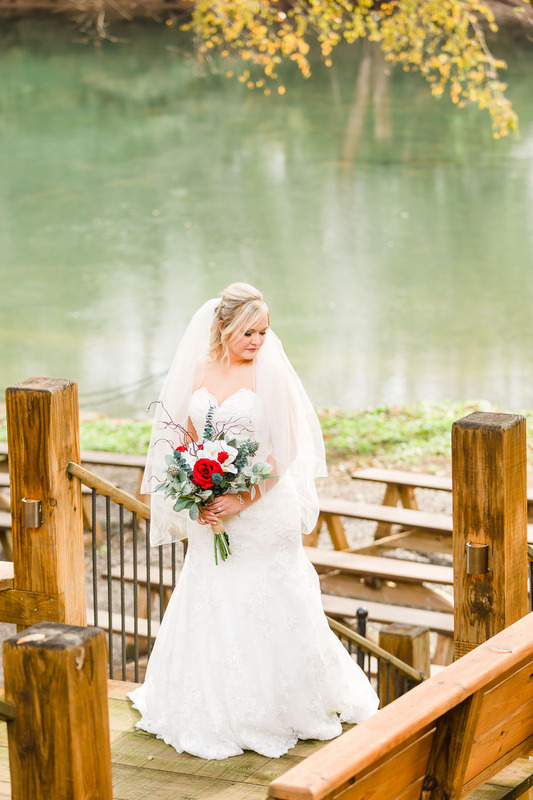 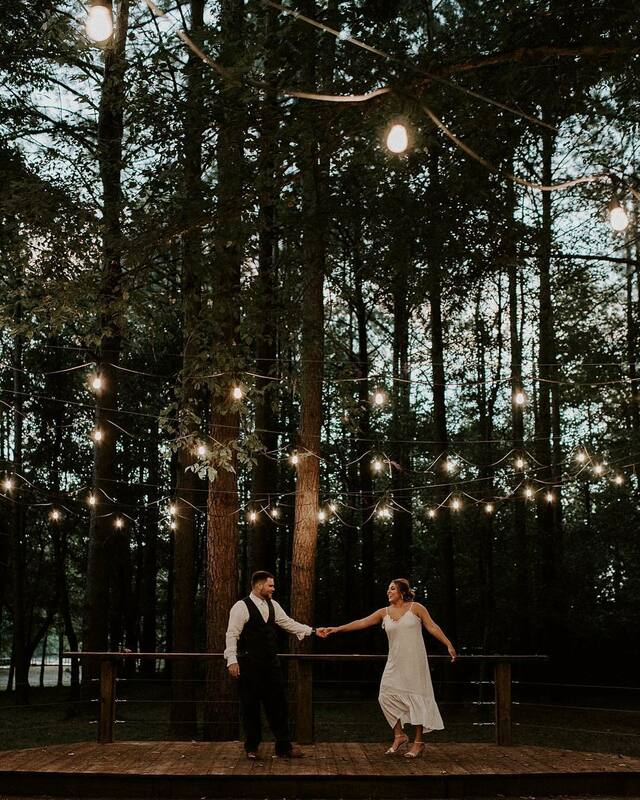 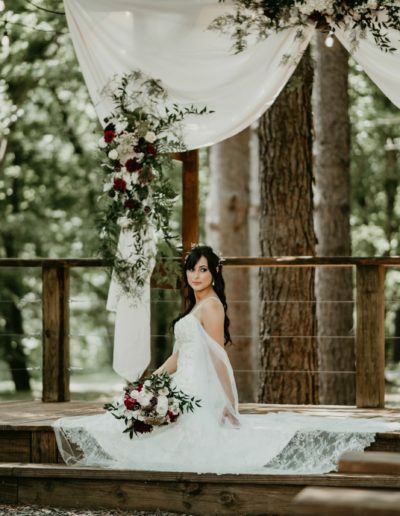 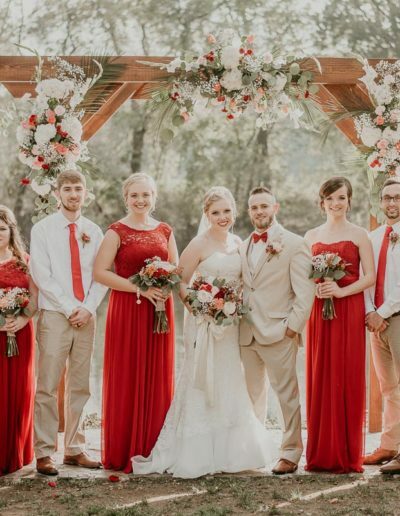 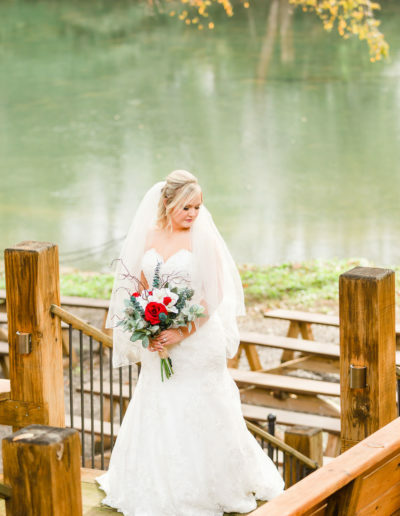 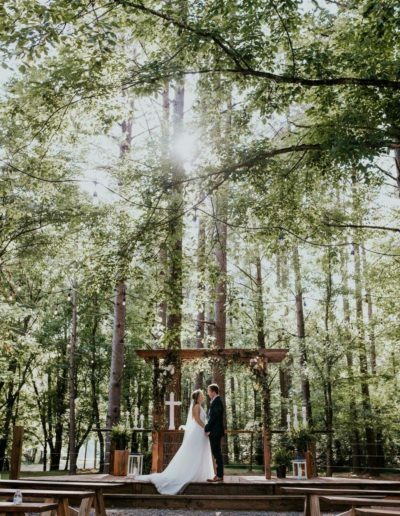 Our 19-acre property is located on a totally wooded peninsula surrounded on three sides by water which has multiple spots to host your big day. 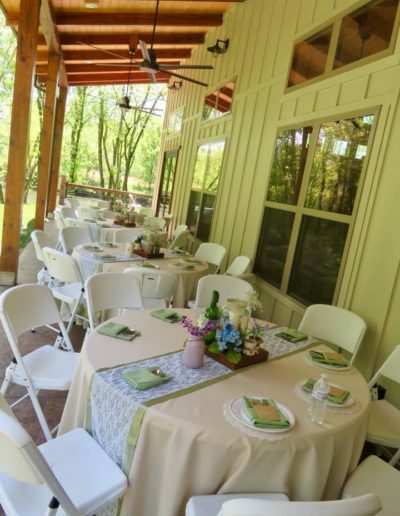 Take a look through the features and photos from past events in each spot then come see what we can do for you. 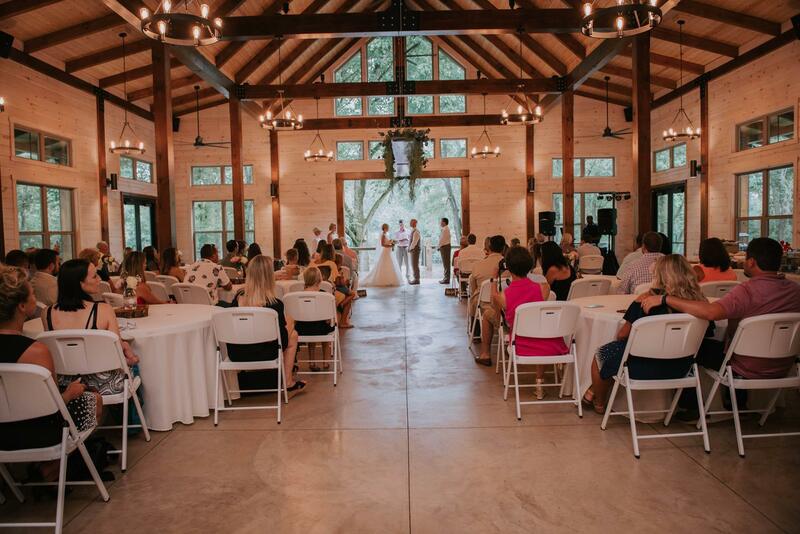 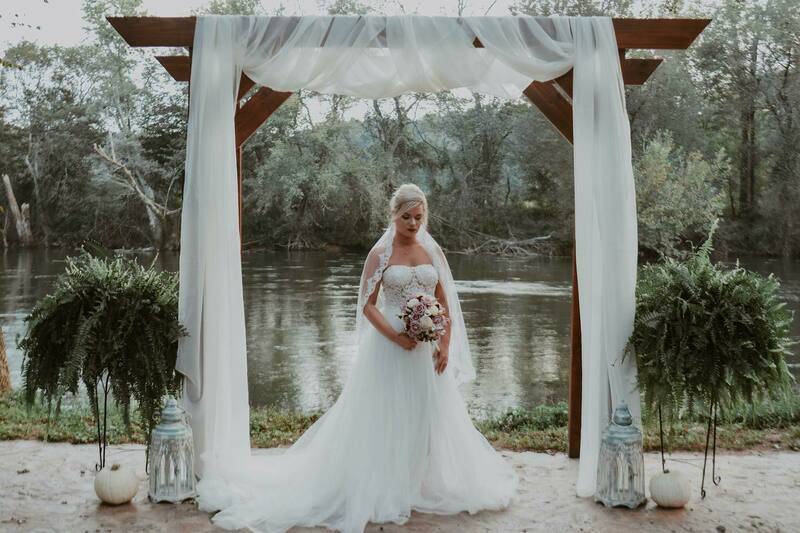 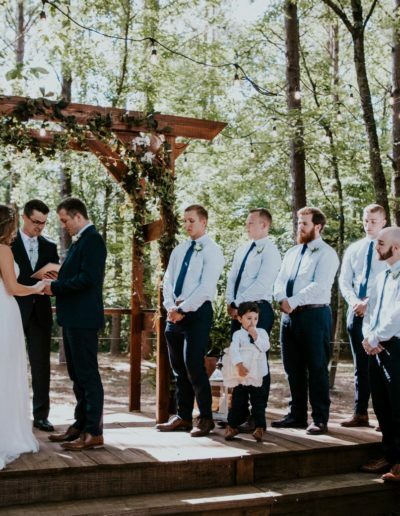 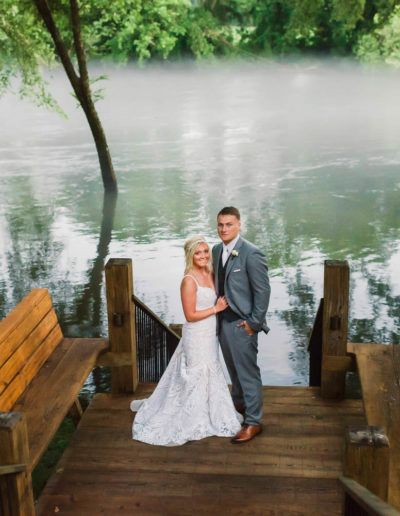 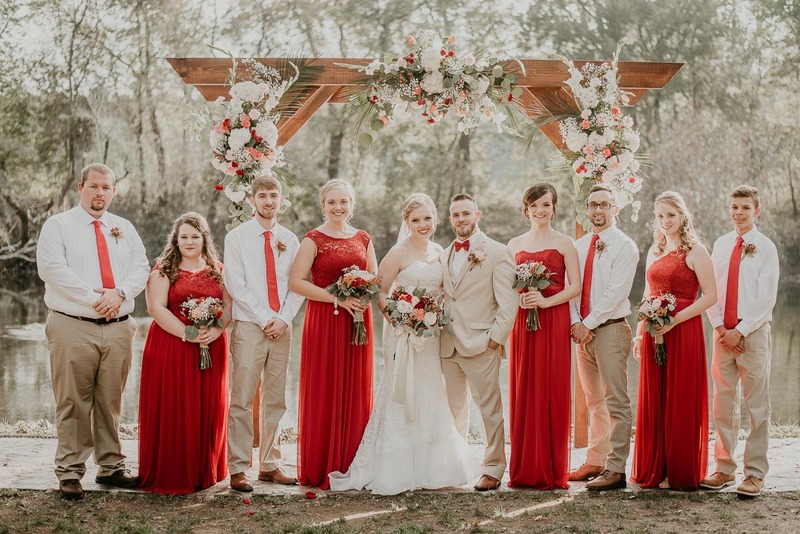 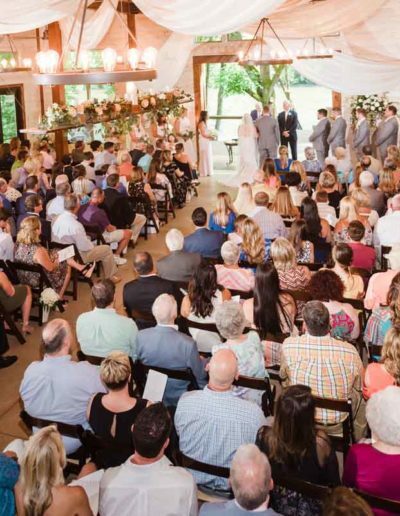 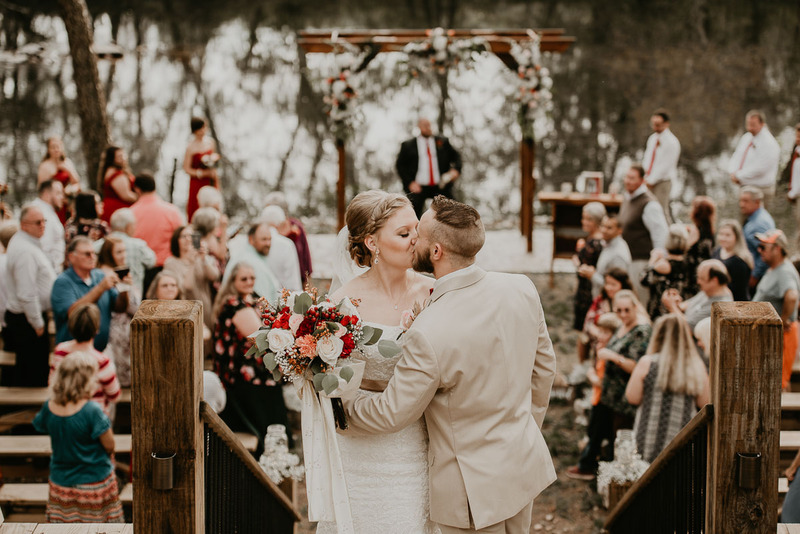 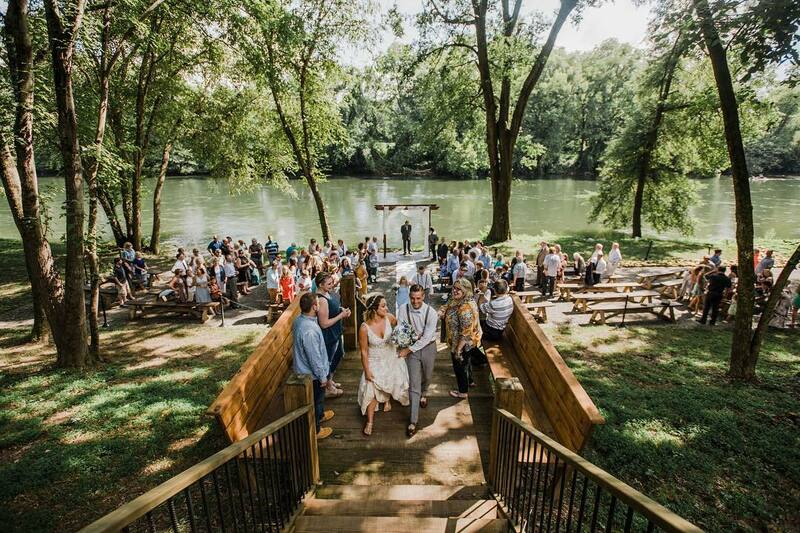 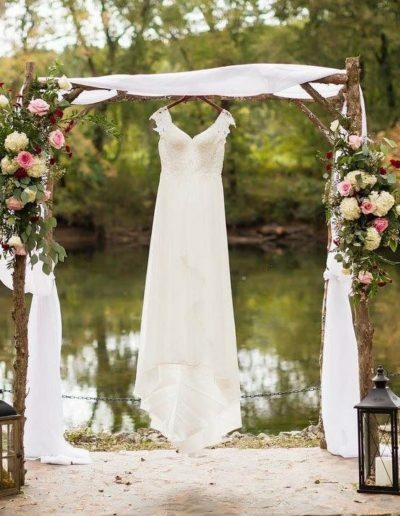 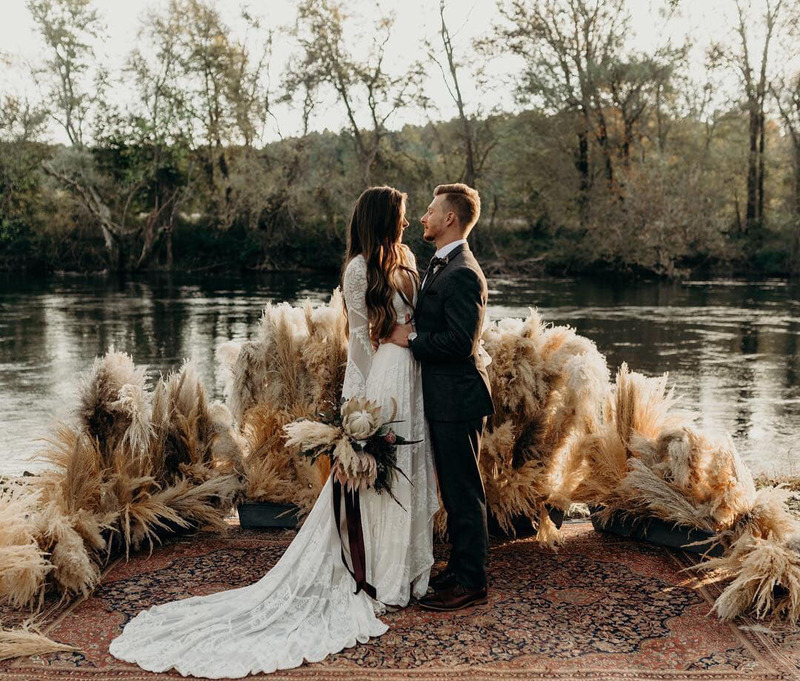 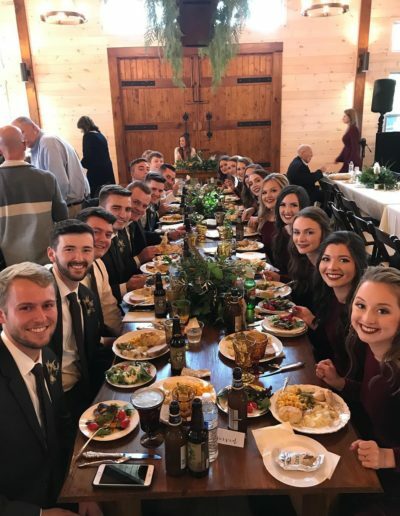 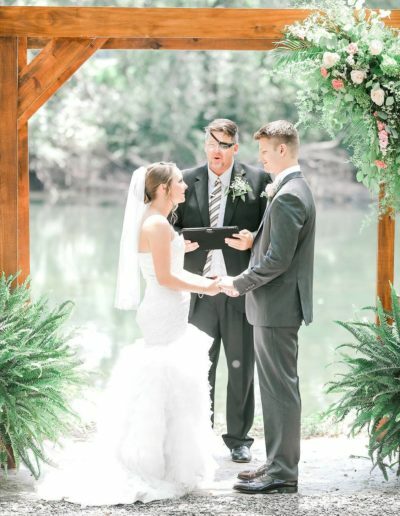 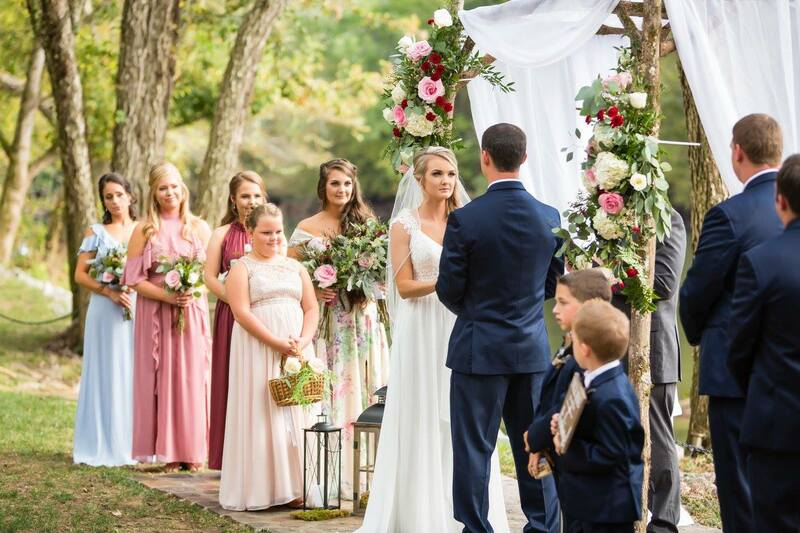 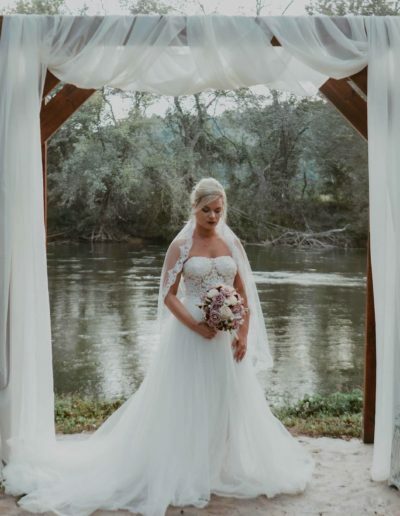 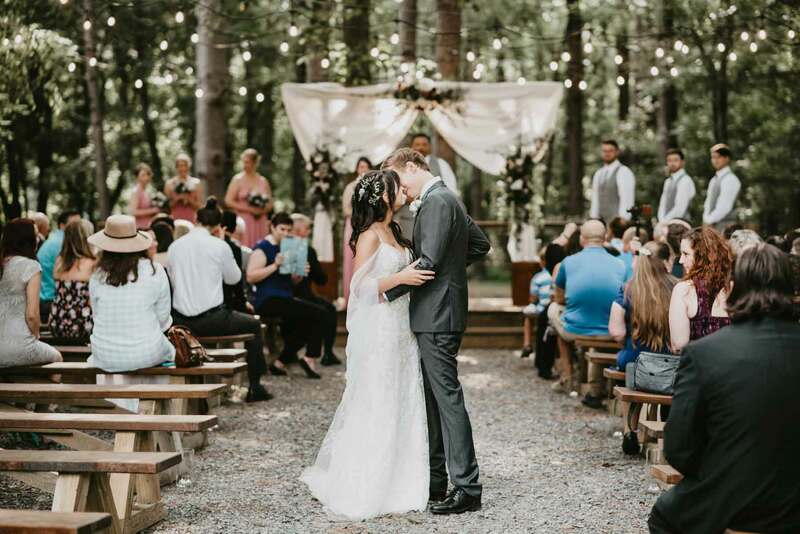 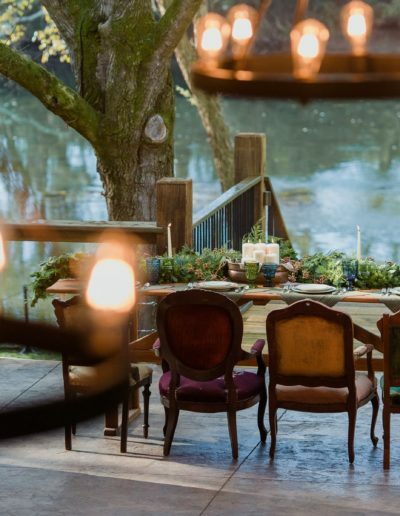 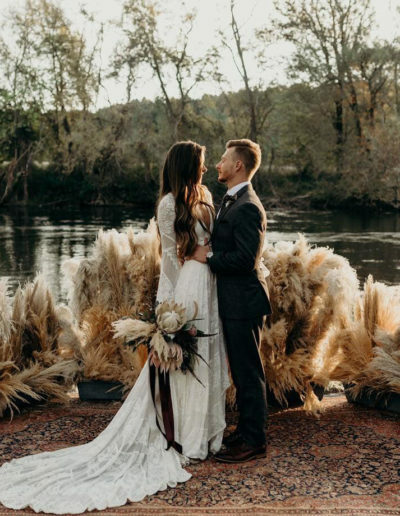 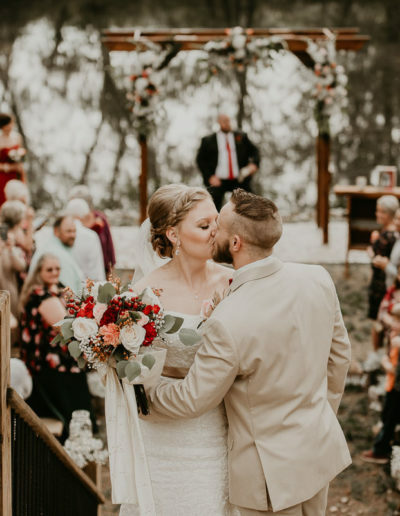 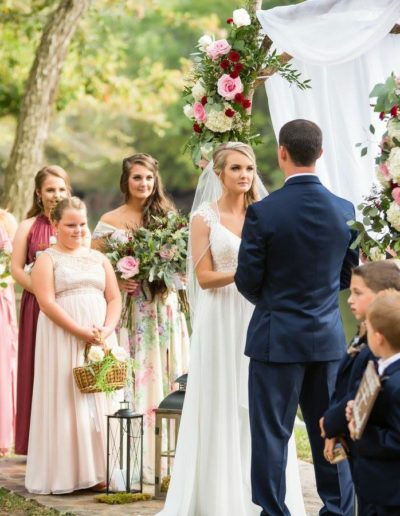 Begin your life together with the sounds of the babbling crystal clear Hiwassee River in the background as you’re perfectly framed by overarching trees, surrounded by your friends and family. 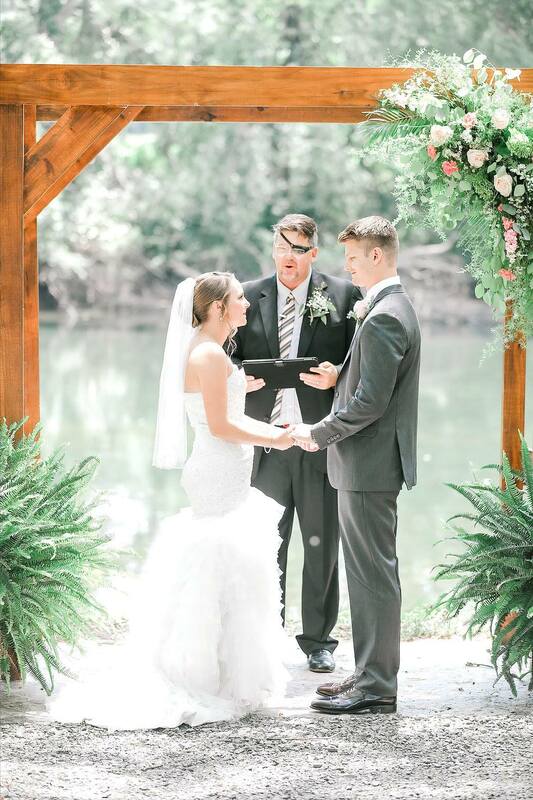 We know that a picture-perfect ceremony is paramount to our couples, so we’ve created exactly that. 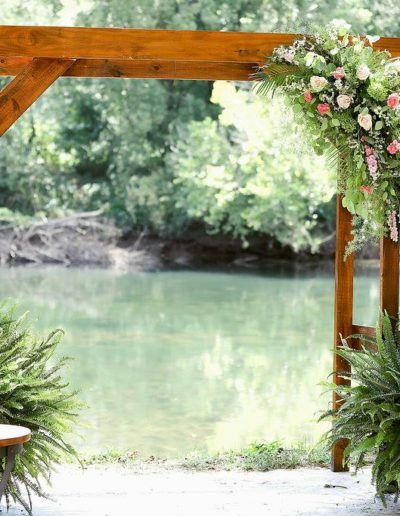 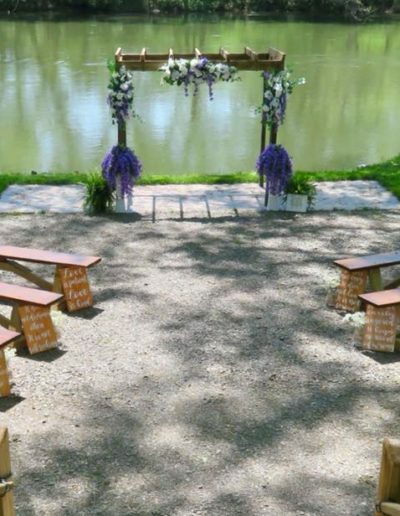 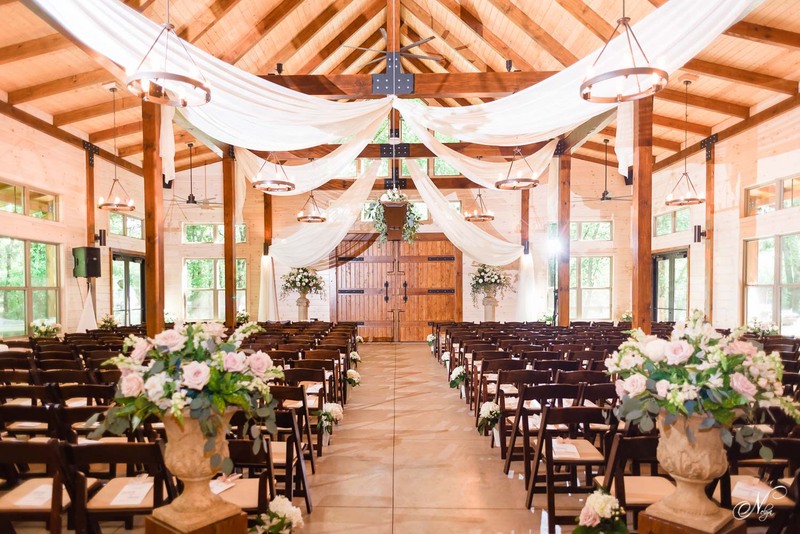 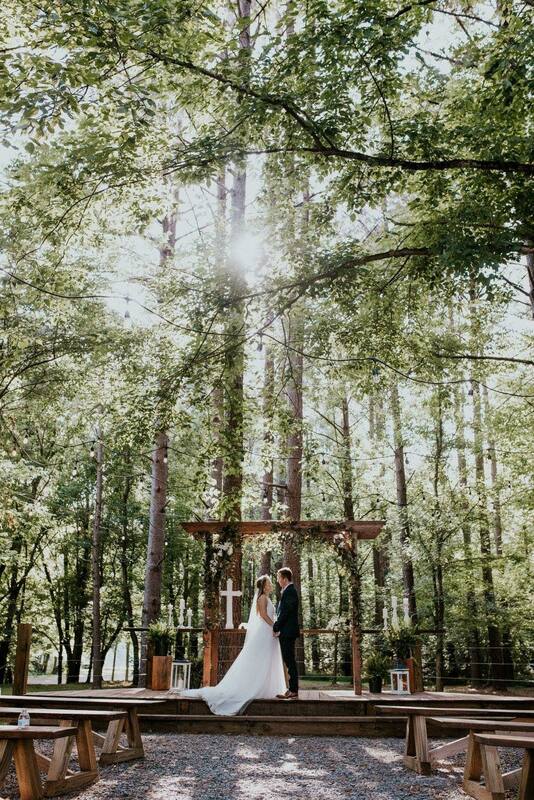 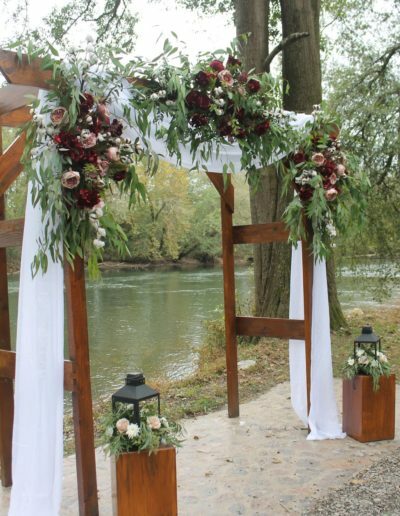 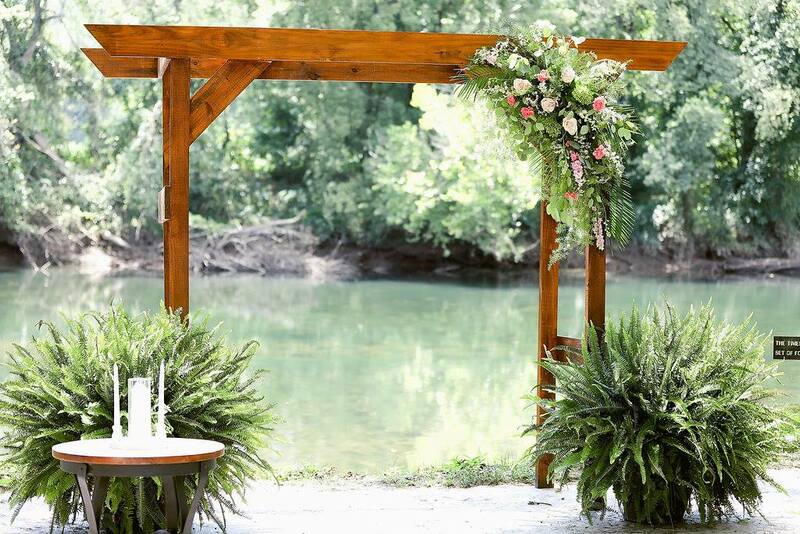 This riverside ceremony space comes outfitted with an optional wooden arbor and cross, made from the trees on the property and custom wooden bench seating for 150 guests. 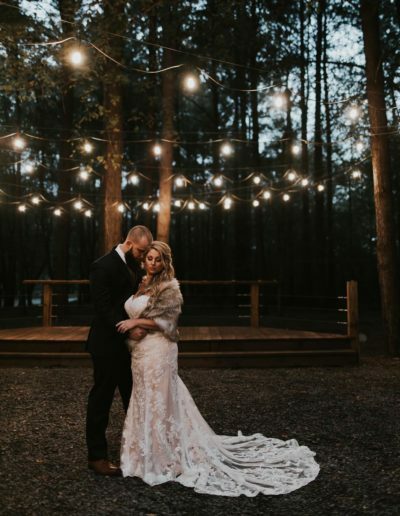 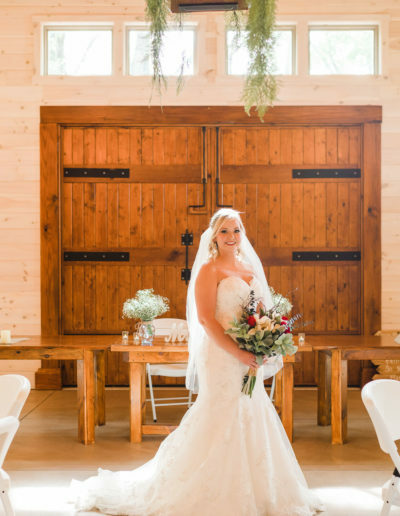 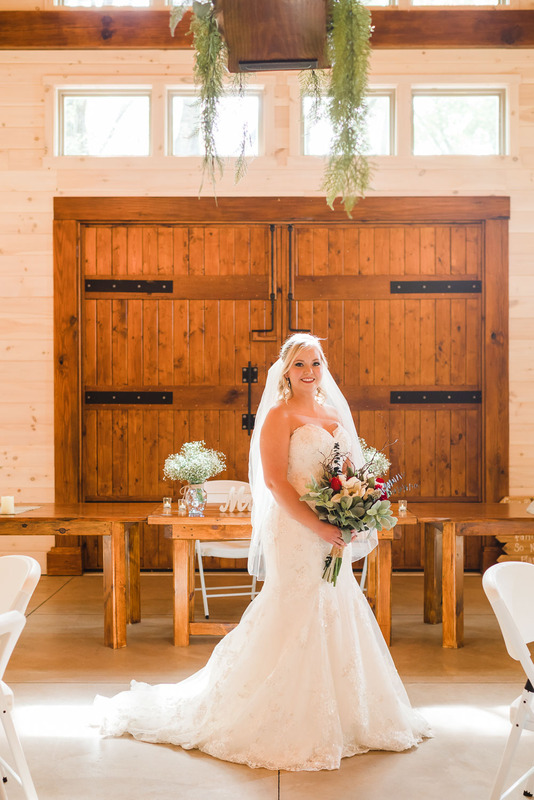 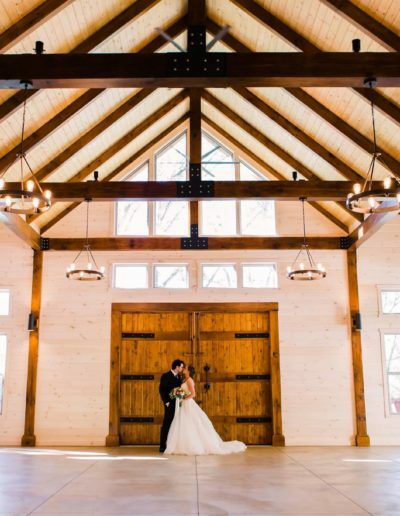 Your guests can walk down our winding road through the forest, which many say resembles the winding road in Narnia, or be transported via our golf cart service directly from the parking lot without revealing the surprises you have in store inside the custom airy and bright timber frame hall for the reception. 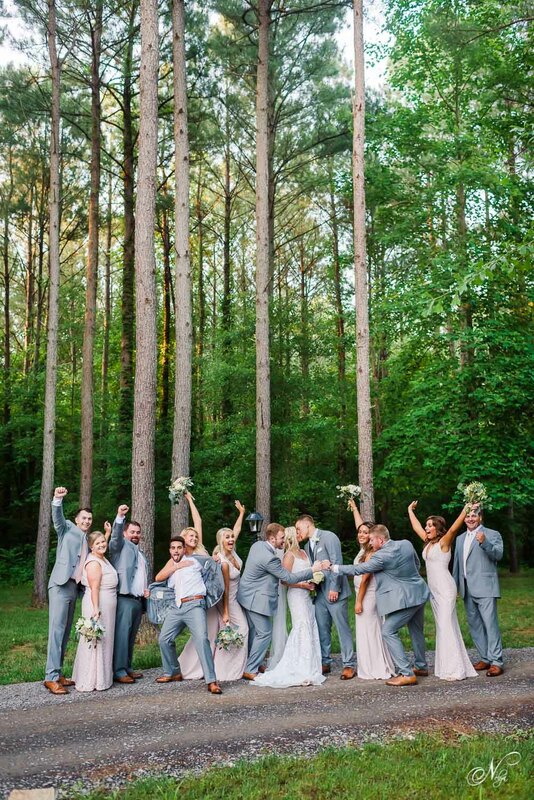 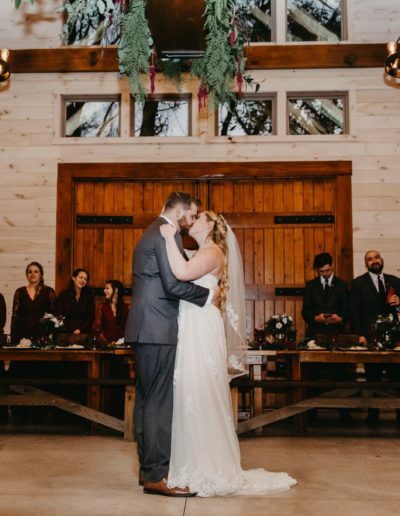 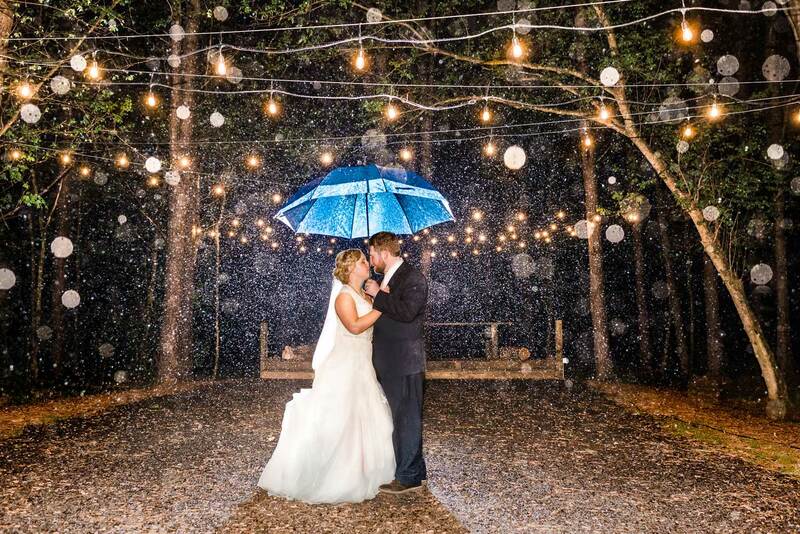 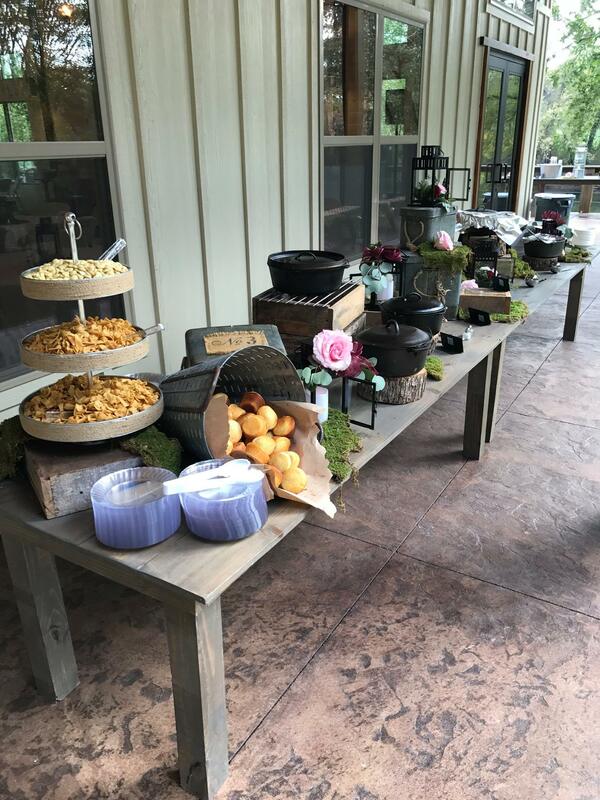 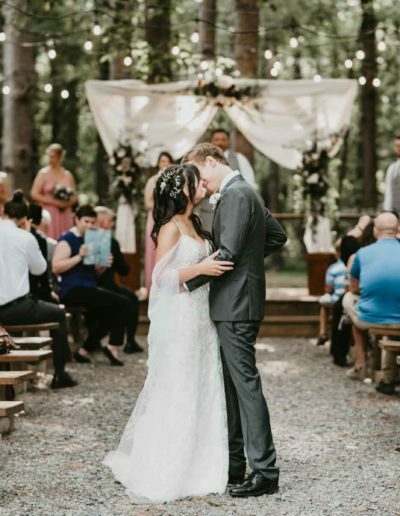 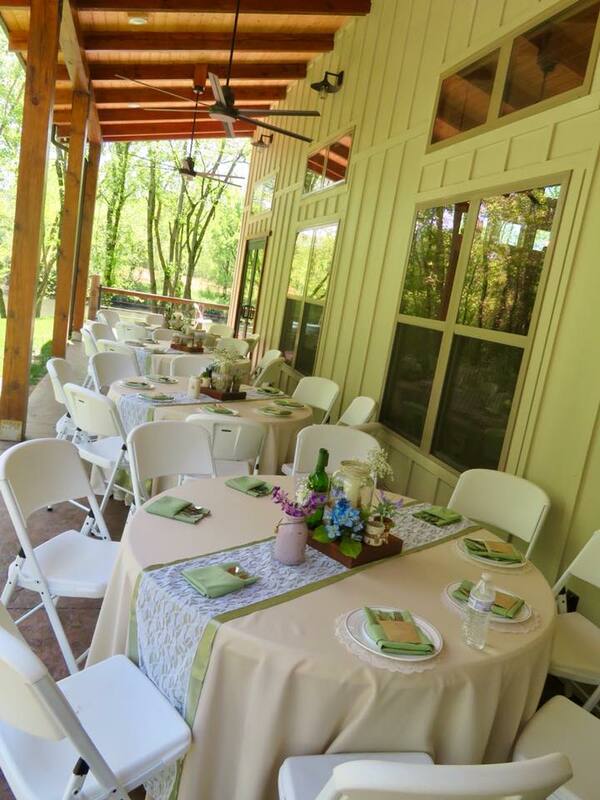 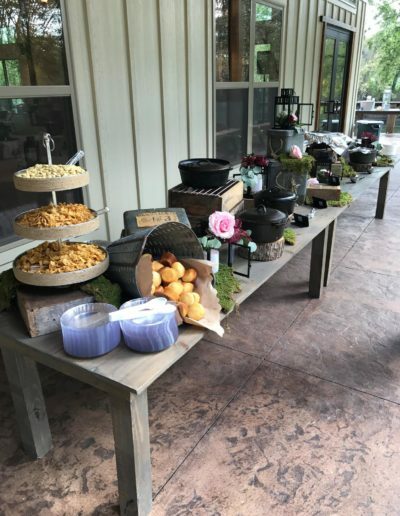 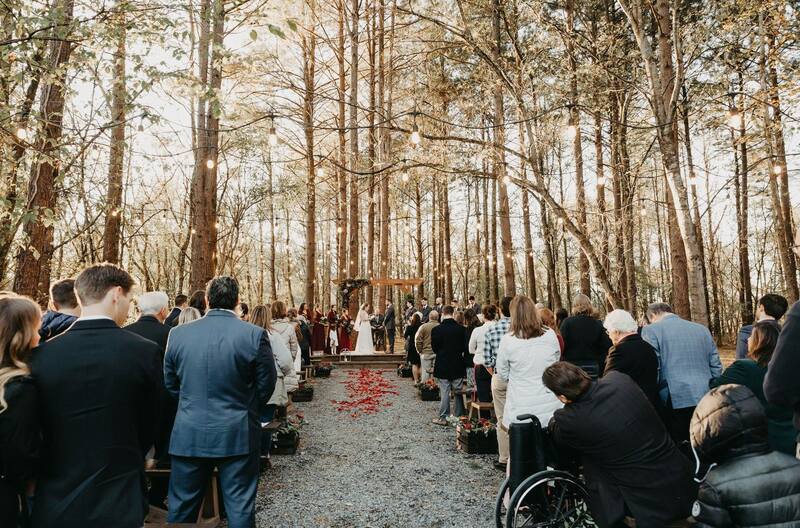 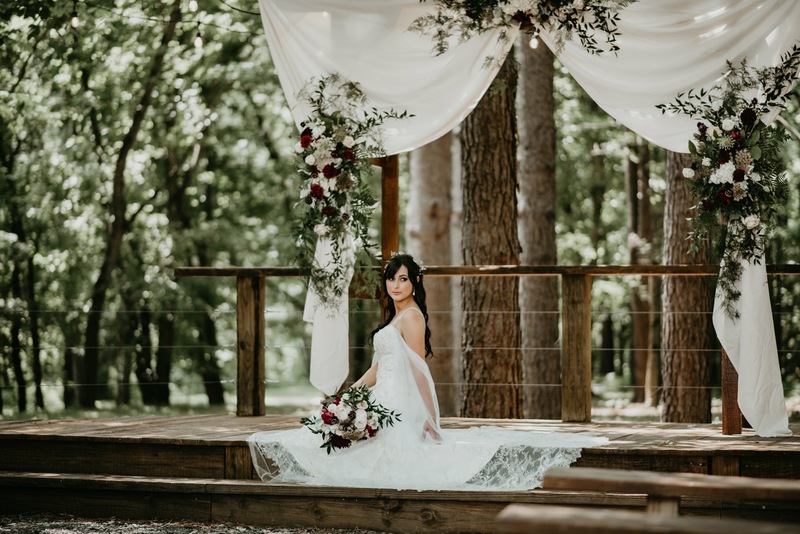 Additionally, our property is handicapped accessible so everyone can be a part of your special moment, no matter their physical limitations. .
Say your vows surrounded by the beauty of trees, without needing to venture far from civilization. 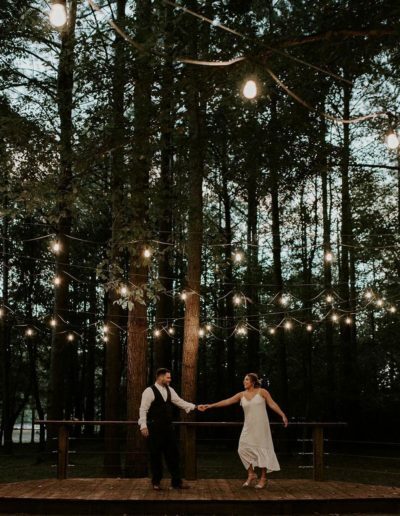 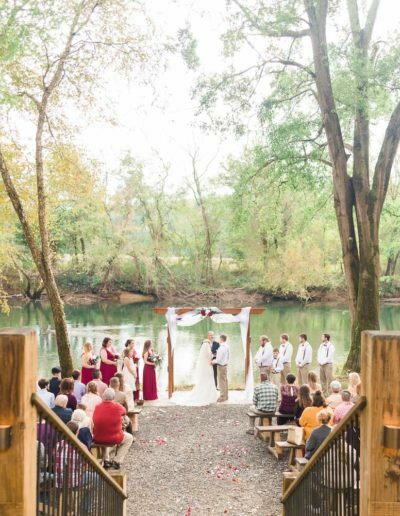 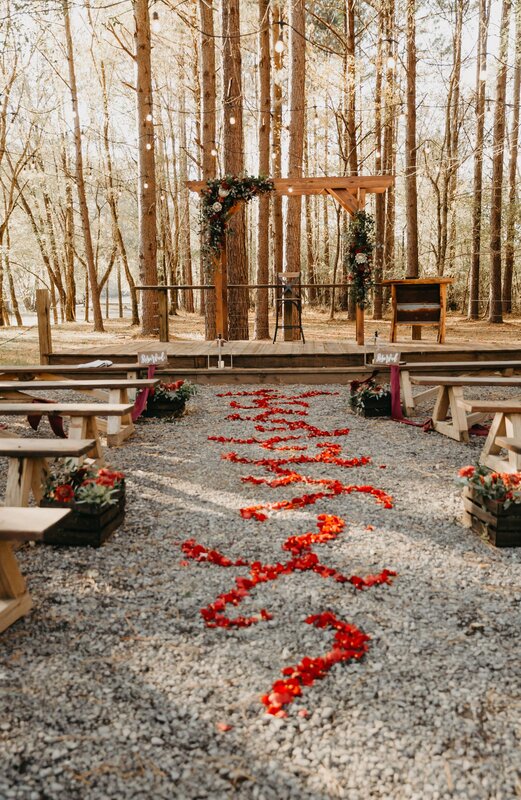 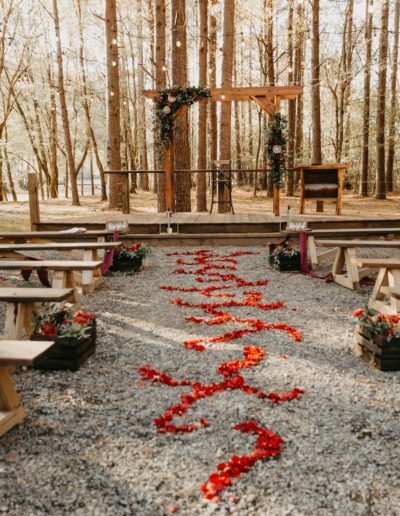 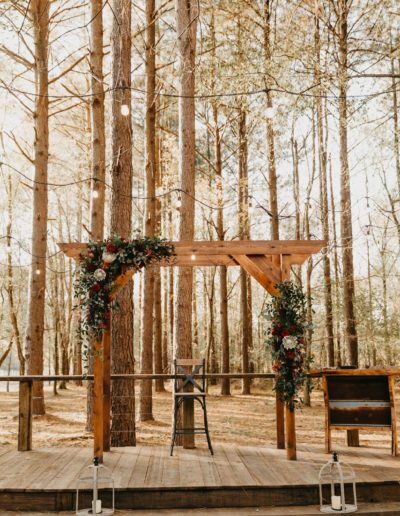 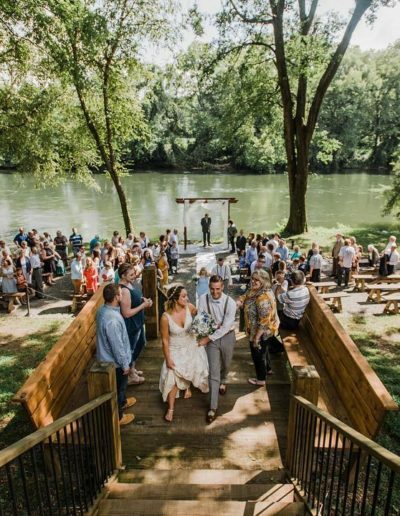 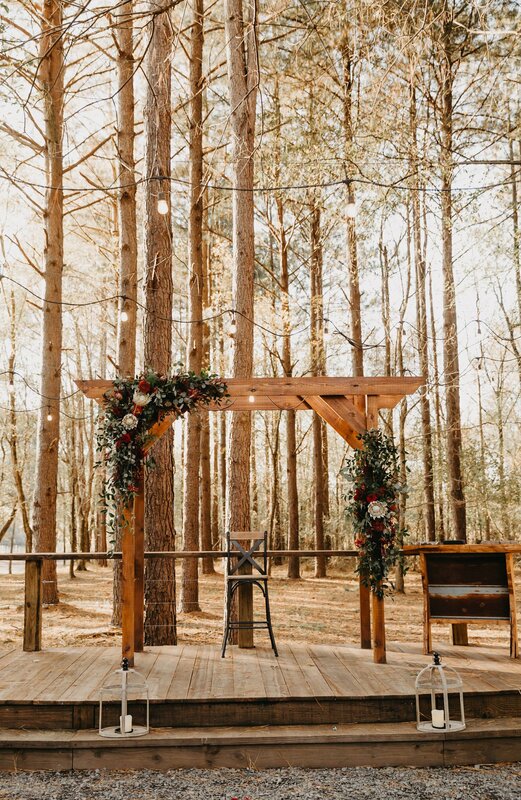 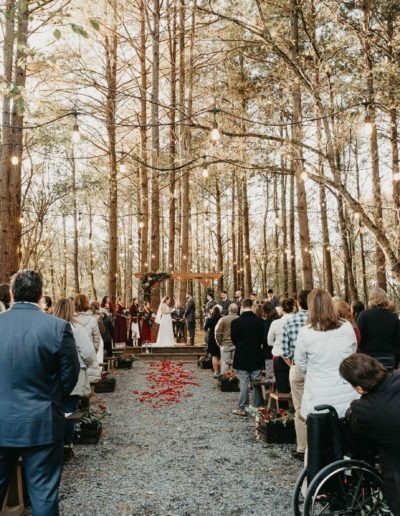 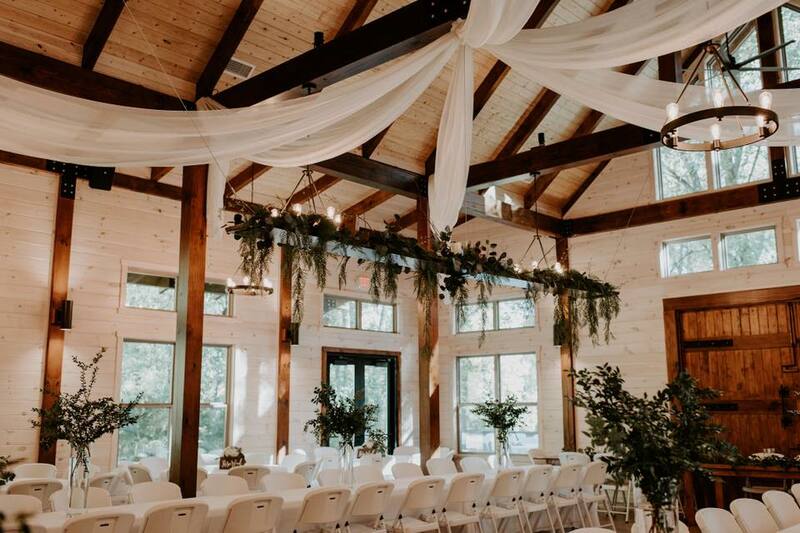 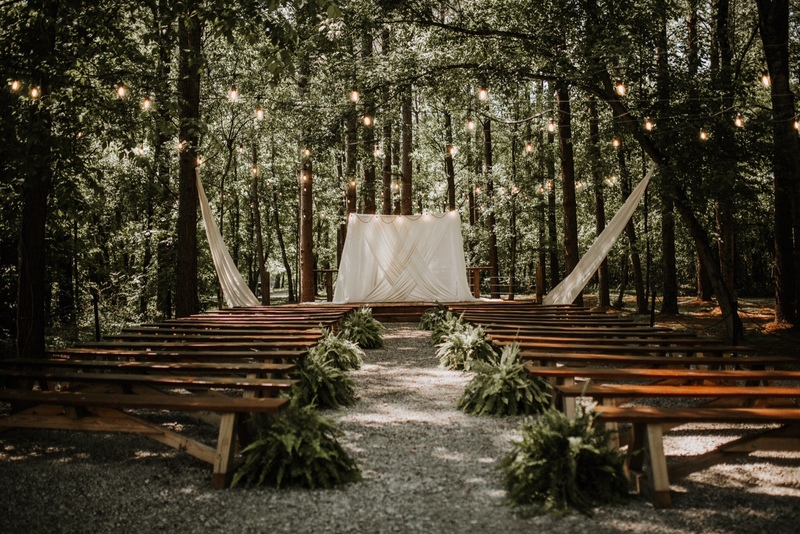 For those couples looking for a more outdoorsy option for their ceremony, they can choose our Forest Ceremony Site adjacent to the reception hall that’s still within site of the Hiwassee River. 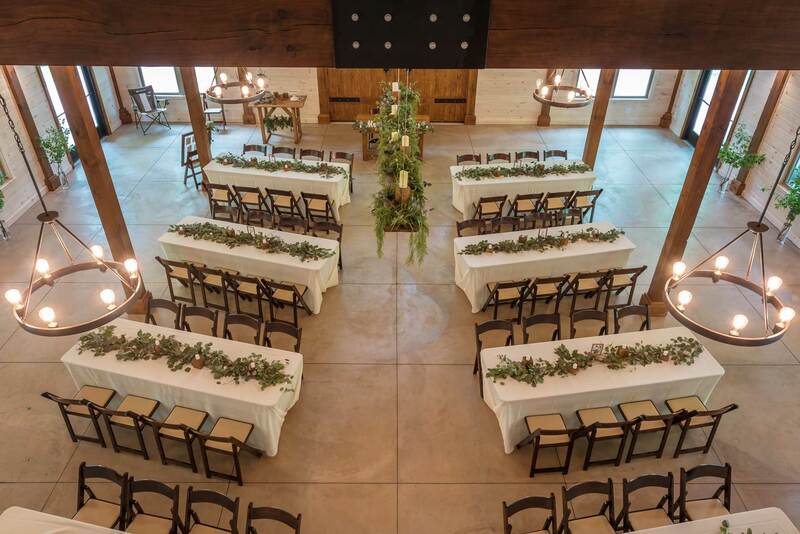 The space has a custom built wooden platform for the vow exchange and custom wooden bench seating for 150. 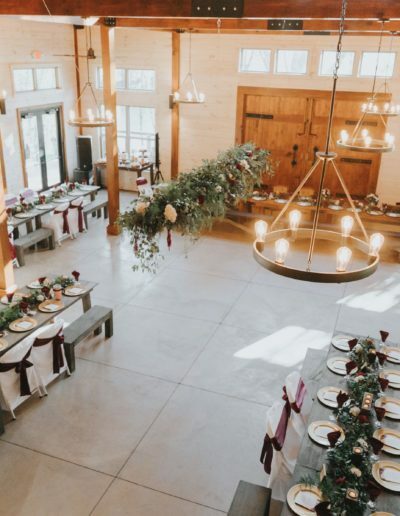 Strings of Edison bulbs are suspended above and between the majestic loblollies so the space can be used for day or night events. 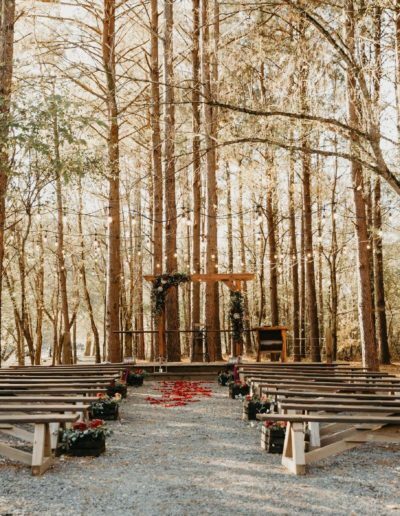 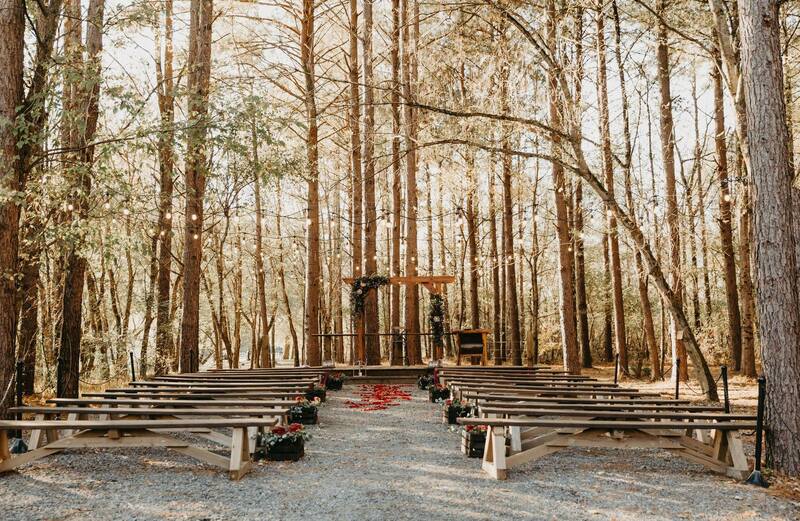 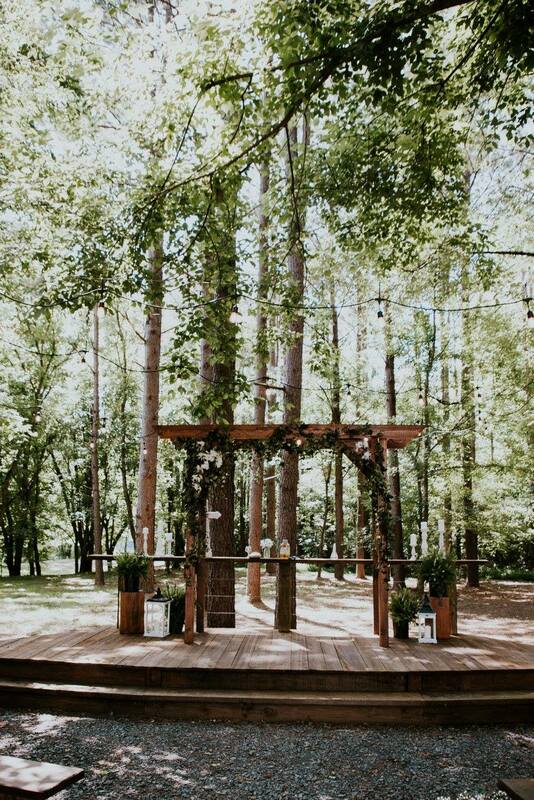 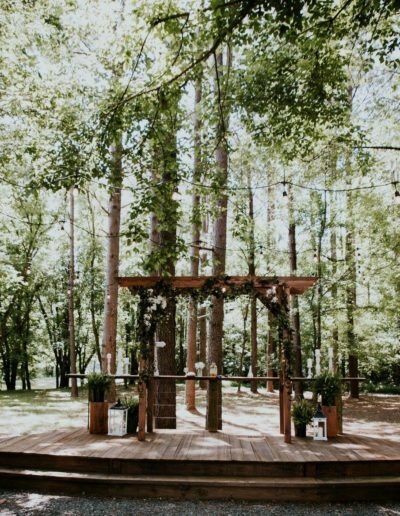 Our forest ceremony site would even make Bella from the Twilight Series blush. 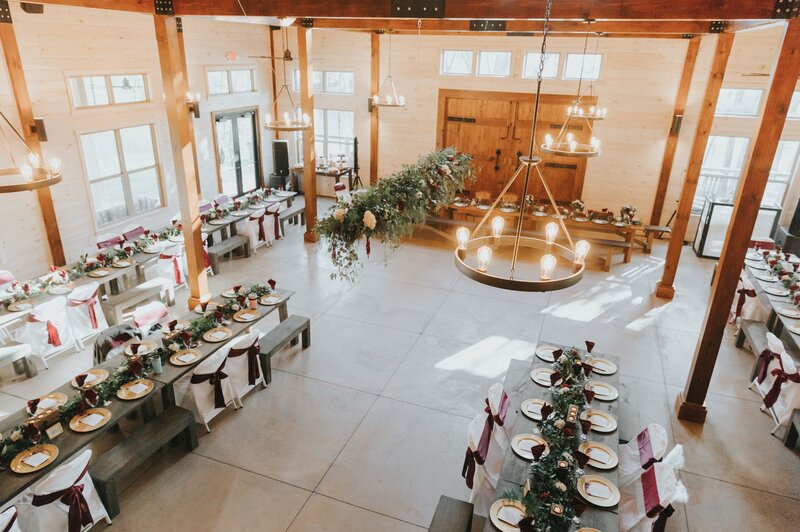 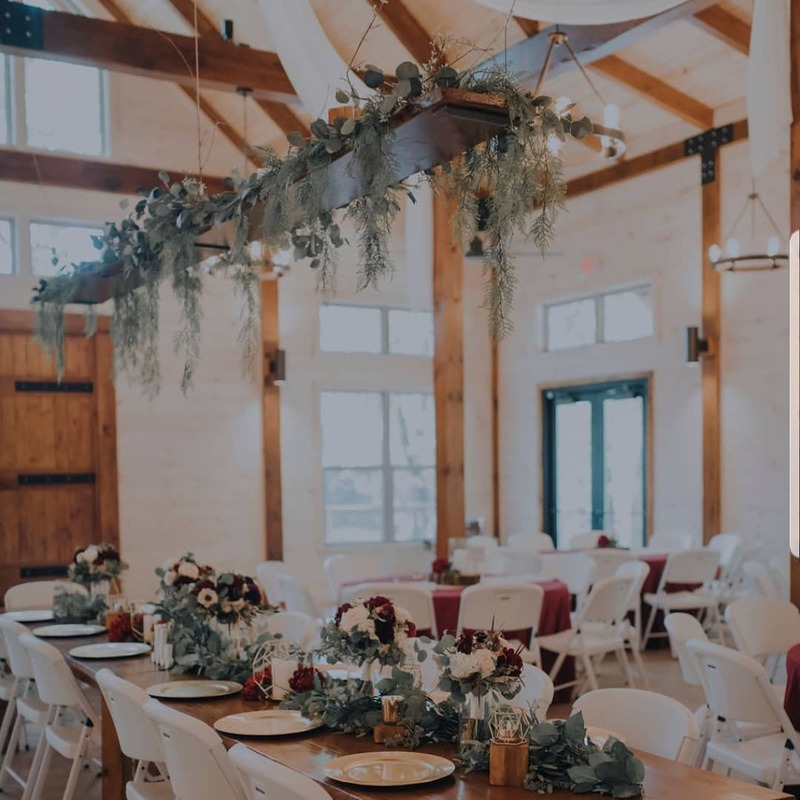 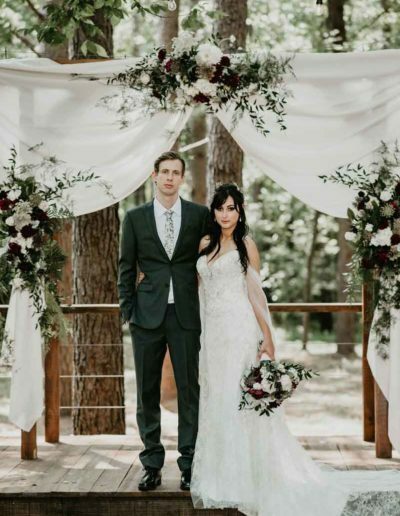 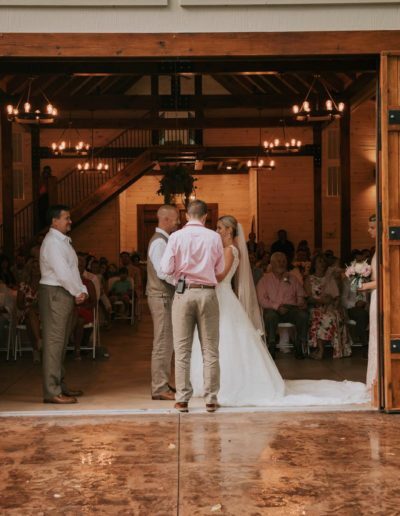 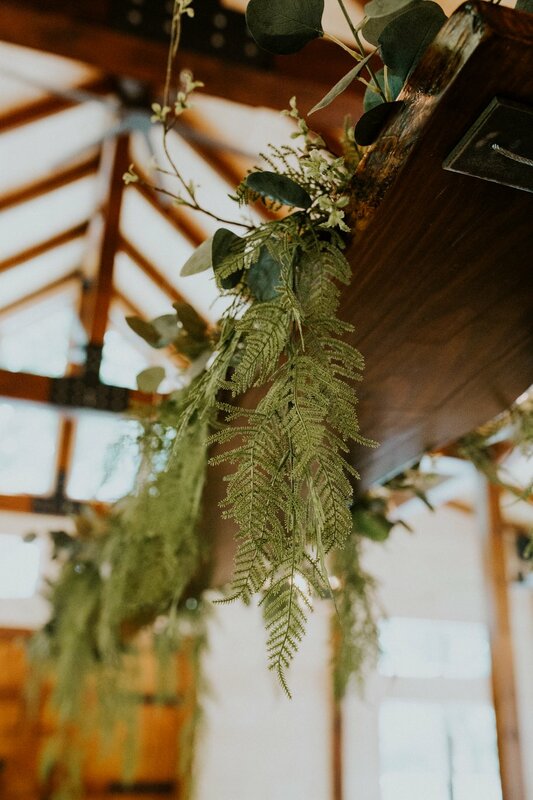 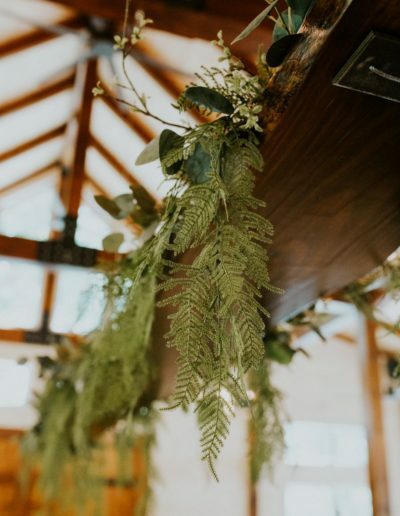 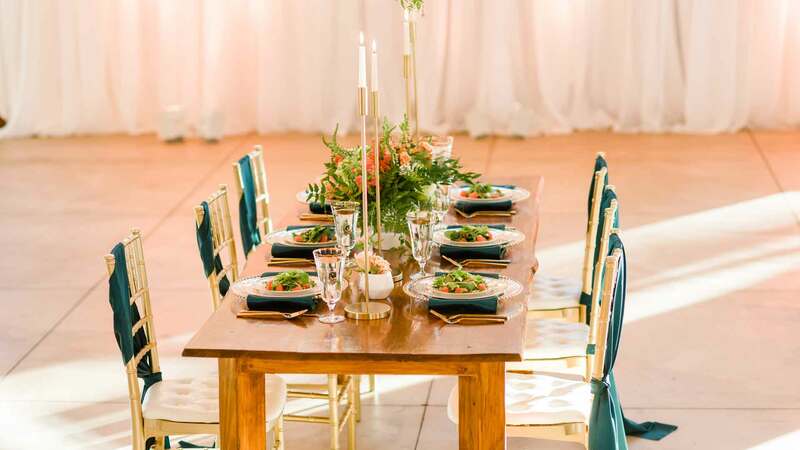 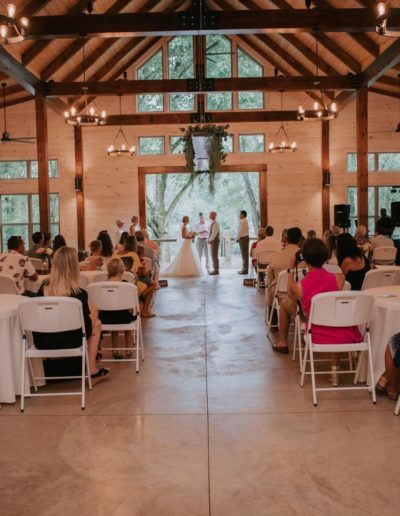 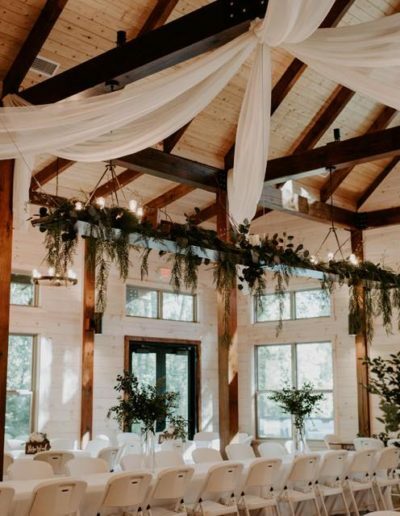 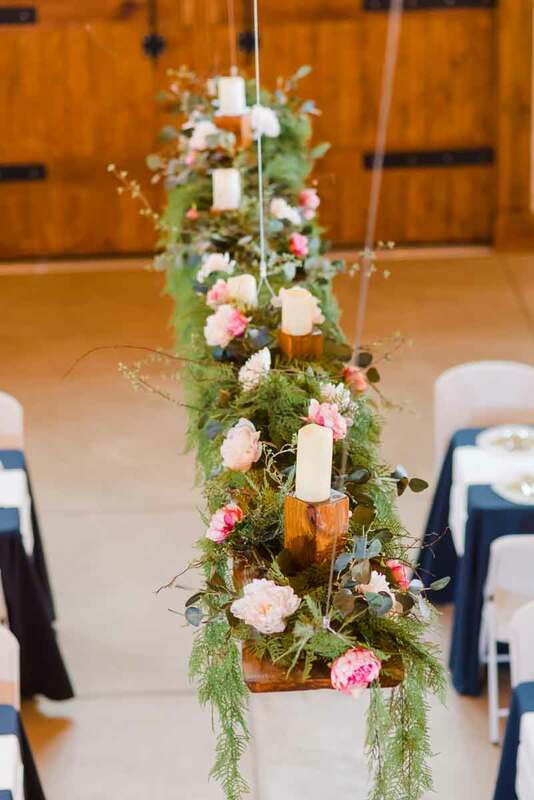 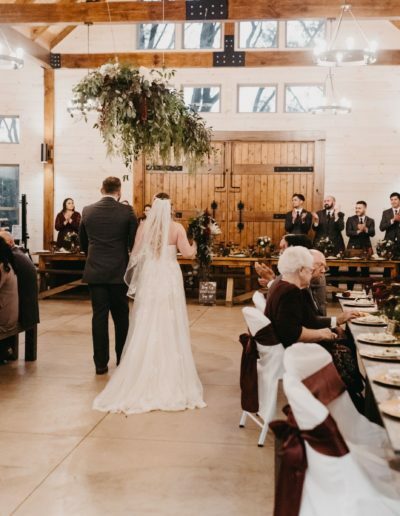 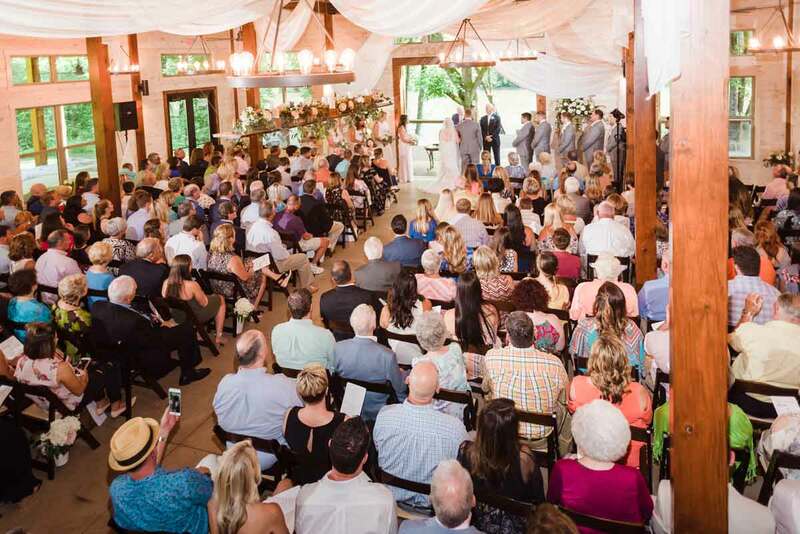 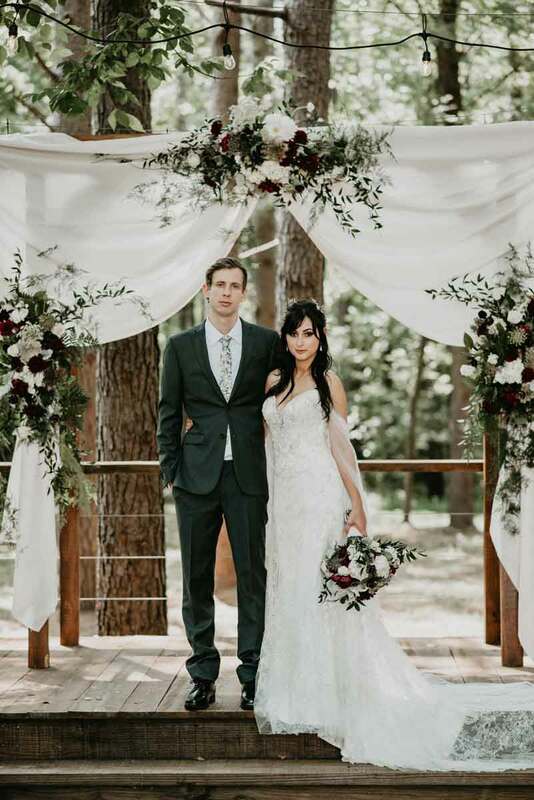 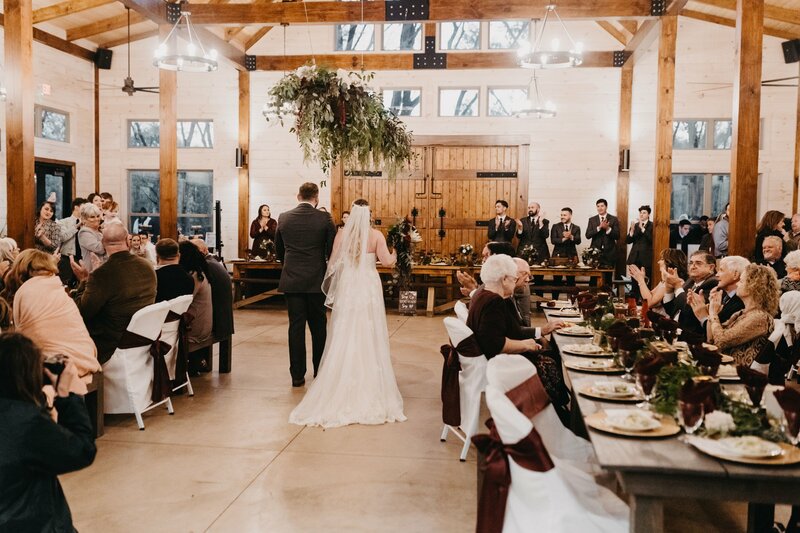 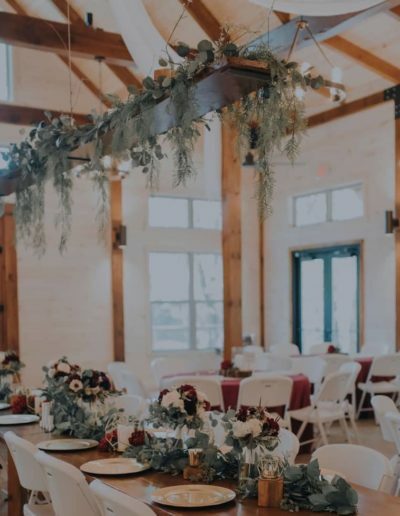 Our 5,600-square-foot climate-controlled event hall made from the trees on the property by the owner himself can be used for both ceremonies and receptions and makes for a perfect PLAN B . 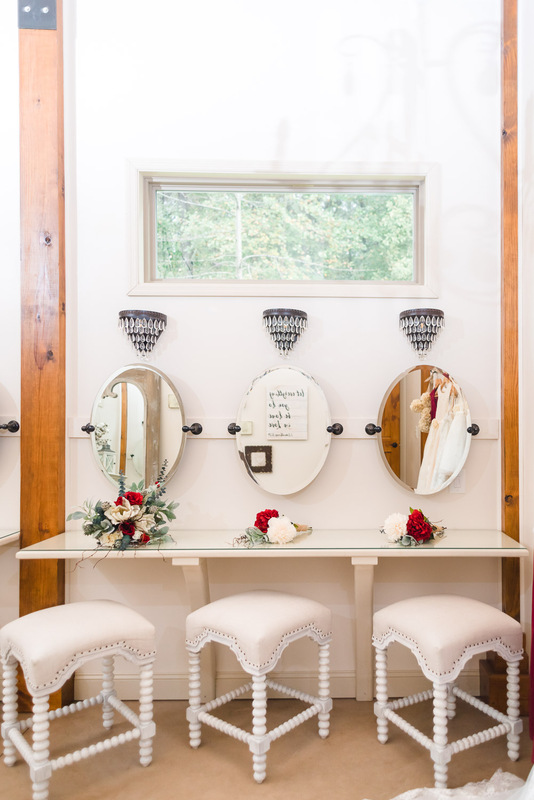 It all begins with the pre-wedding prep as the interior space is a blank canvas for your specific day. 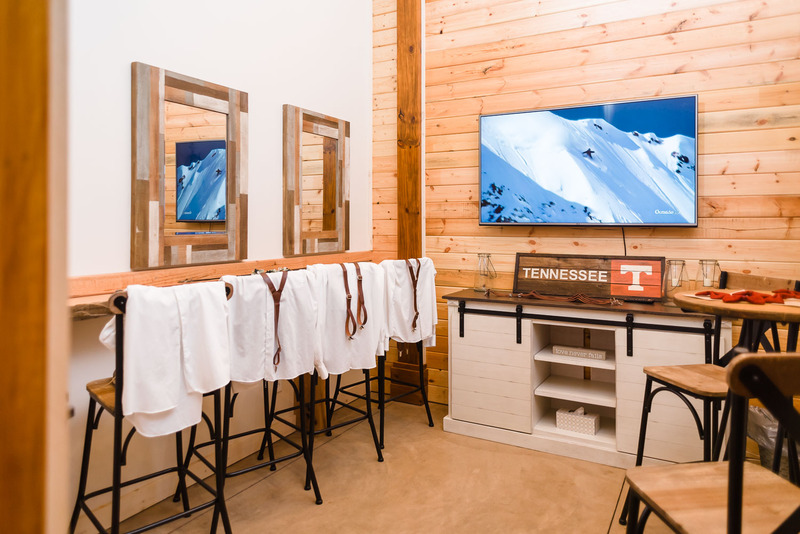 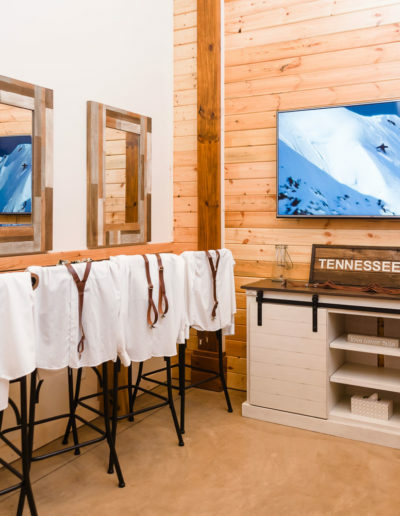 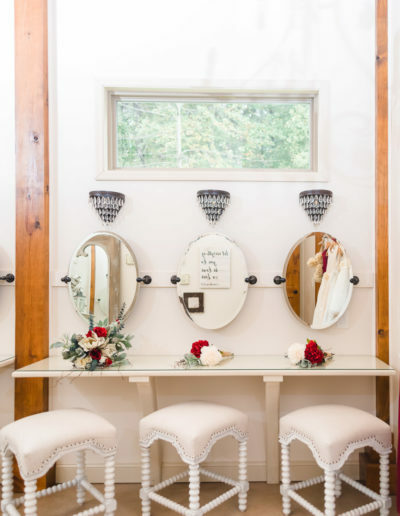 We have designed two wedding suites for the ladies and gentlemen to use throughout the day as they get ready complete with multiple vanities, WiFi, Sound System, Smart TV in the grooms room and restrooms. 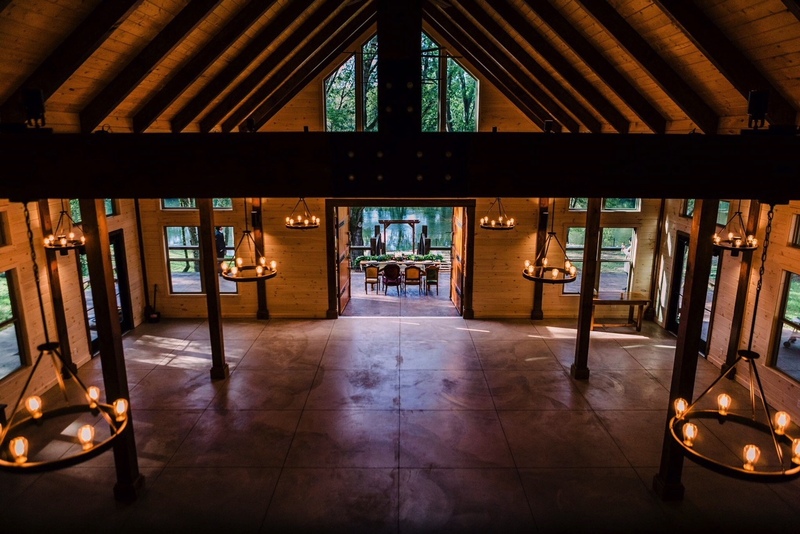 Our event hall reminds one of a huge timber church in the forest and along a river. 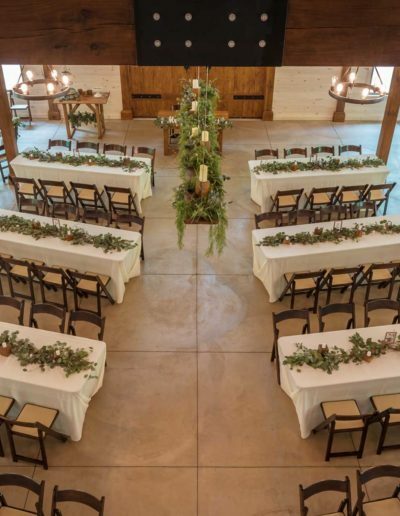 Depending on the layout of the space, the event hall can seat as many as 150. 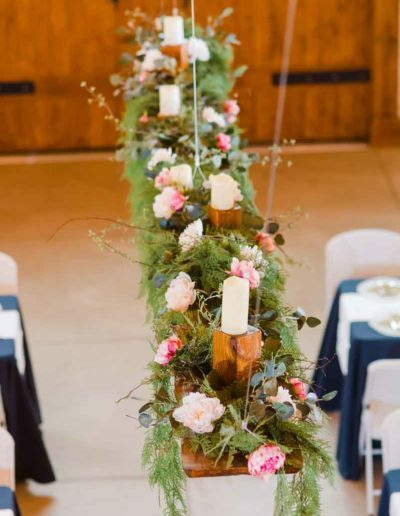 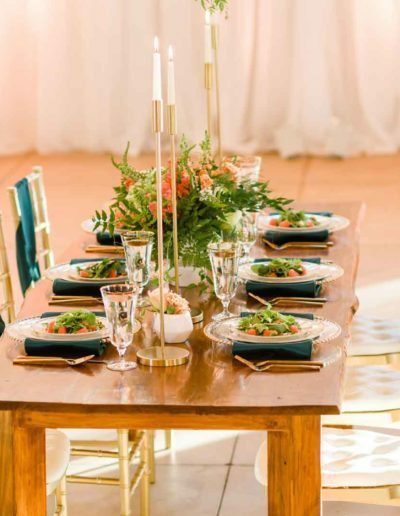 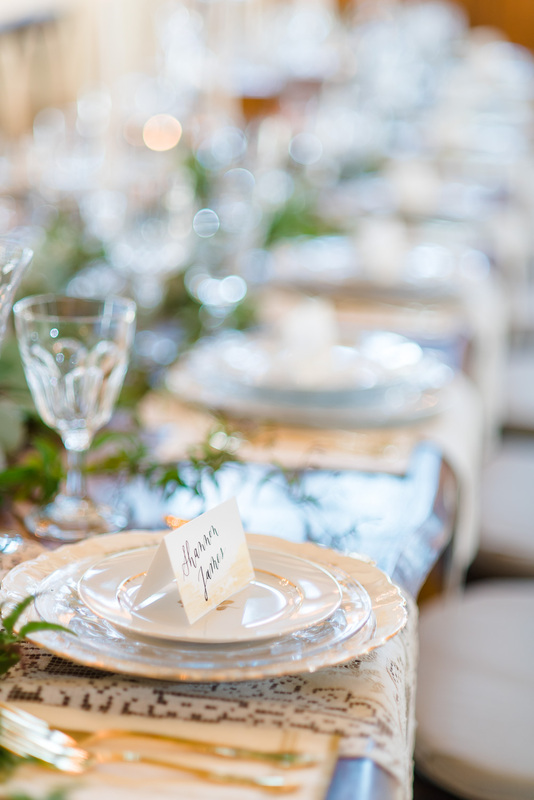 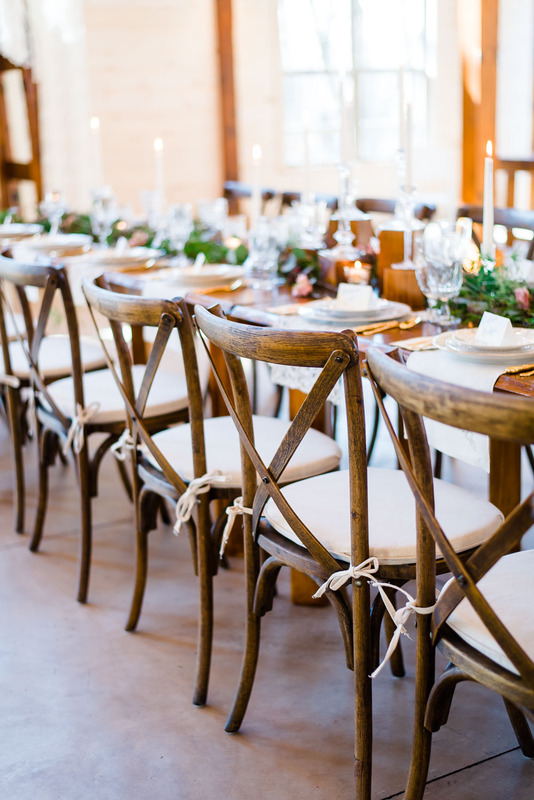 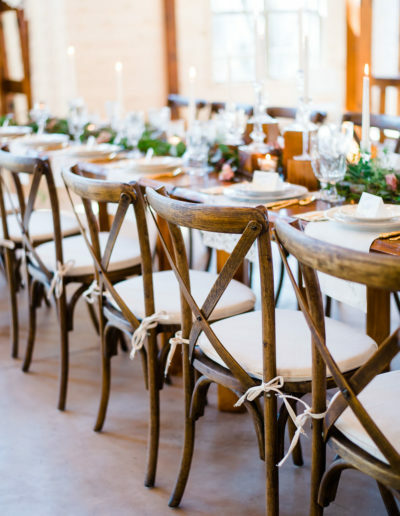 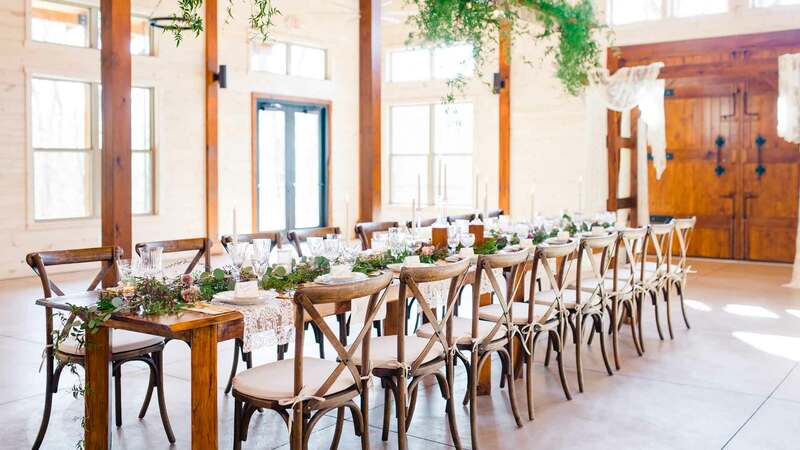 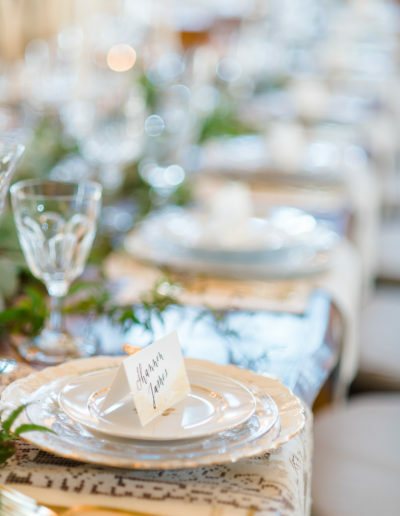 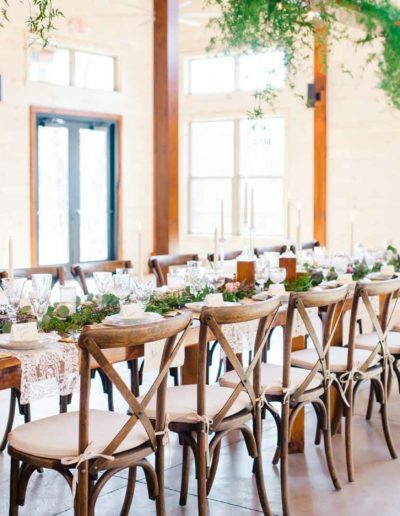 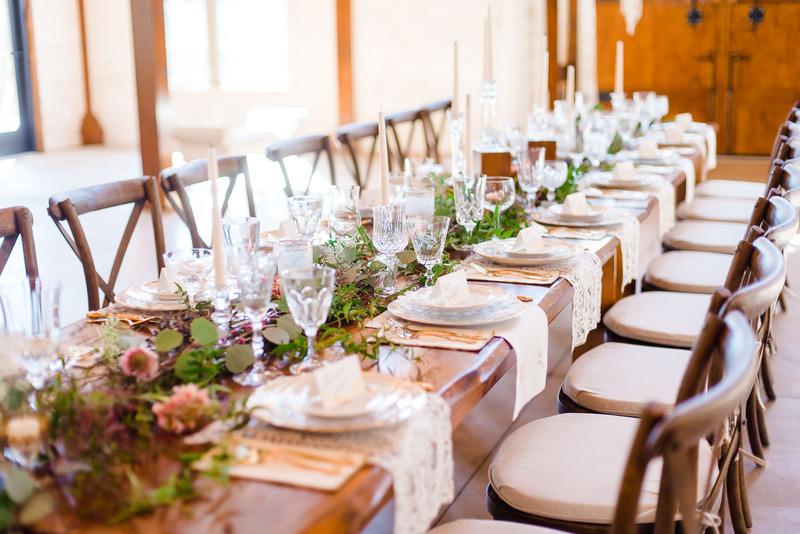 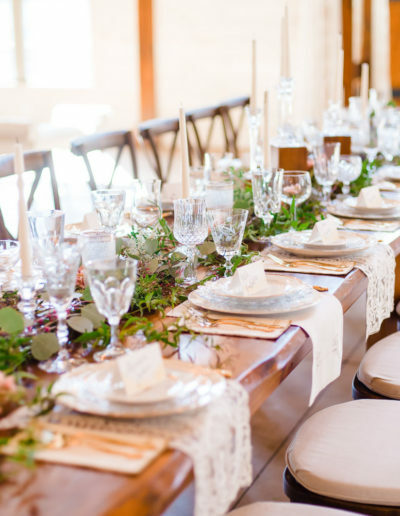 Ready To Start Planning Your Rustic Yet Elegant Wedding? 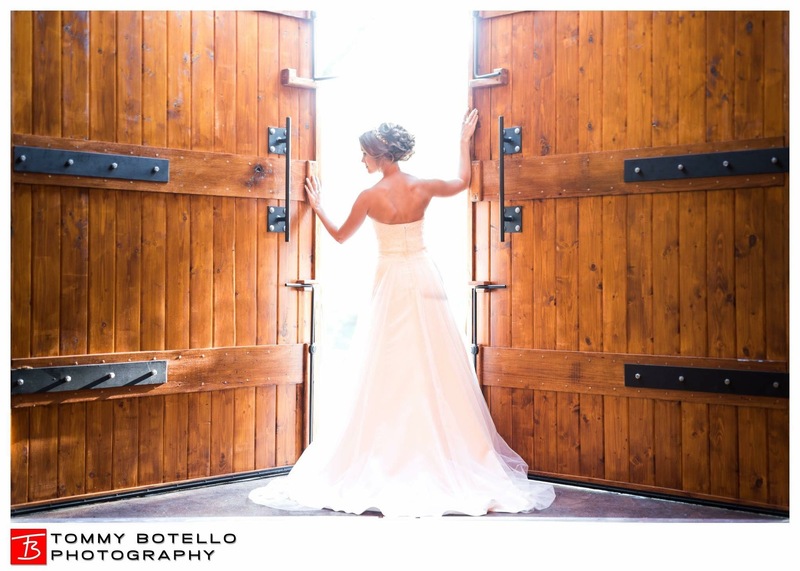 Book your complimentary consultation and tour with our venue manager today! 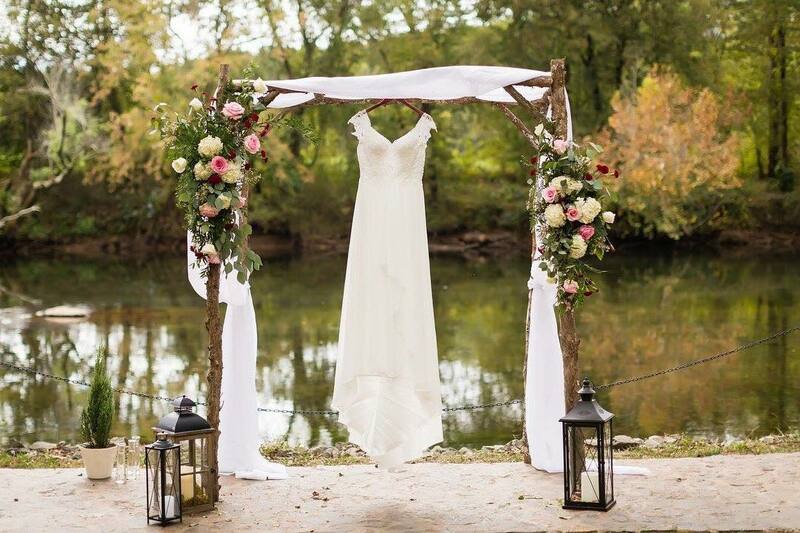 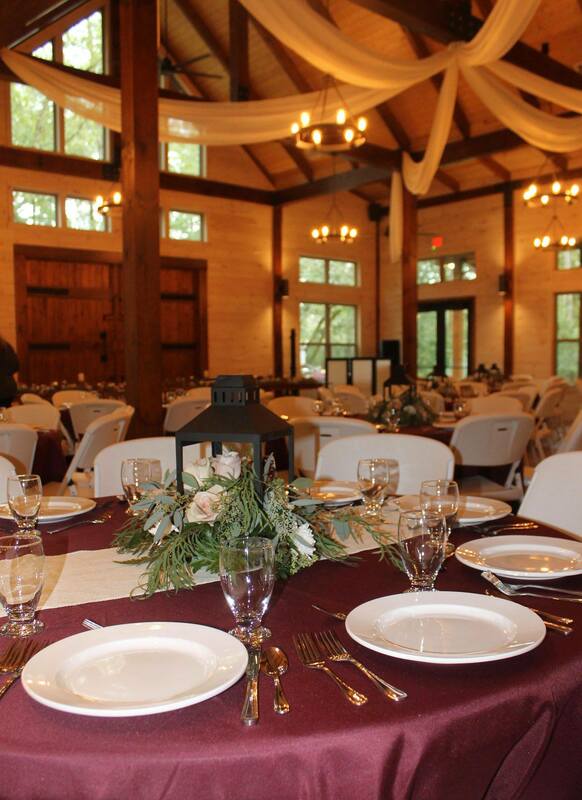 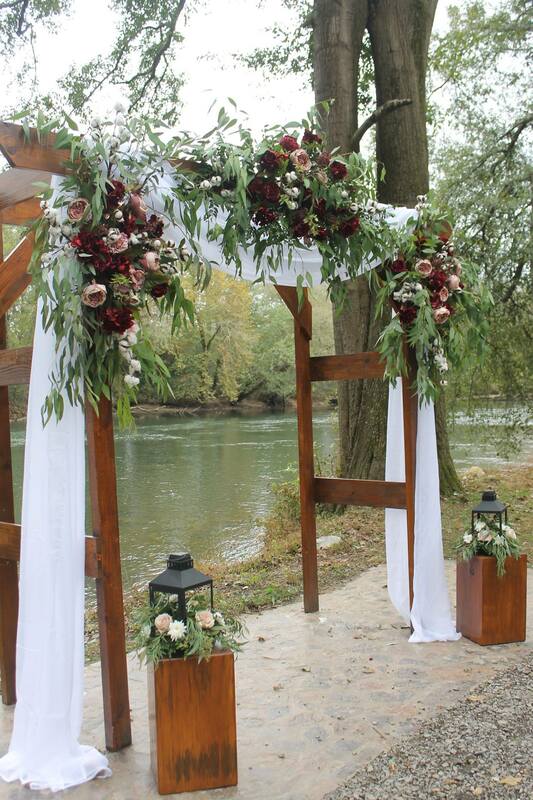 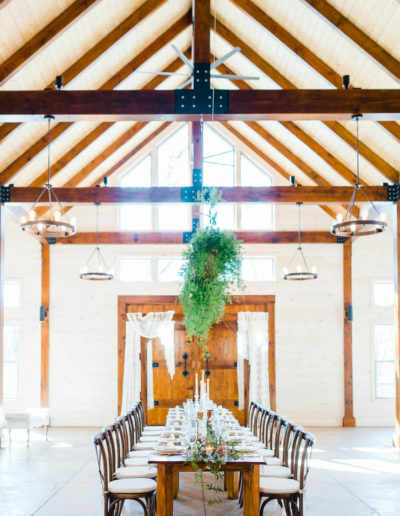 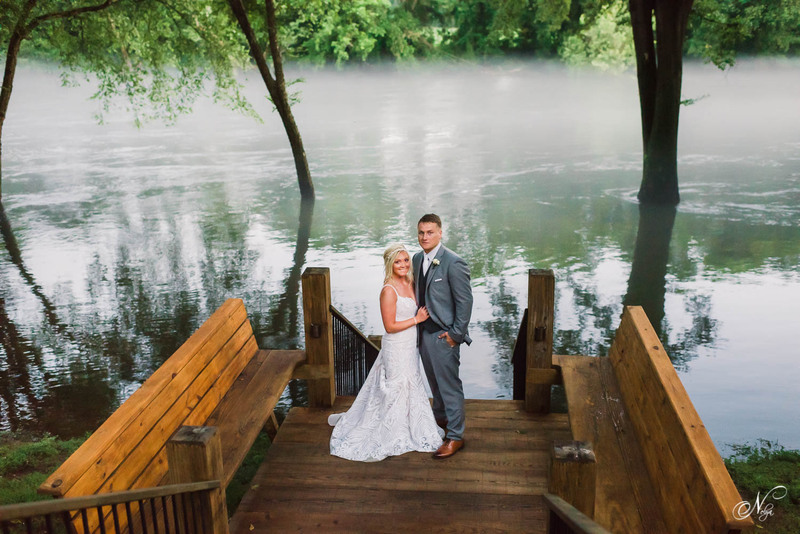 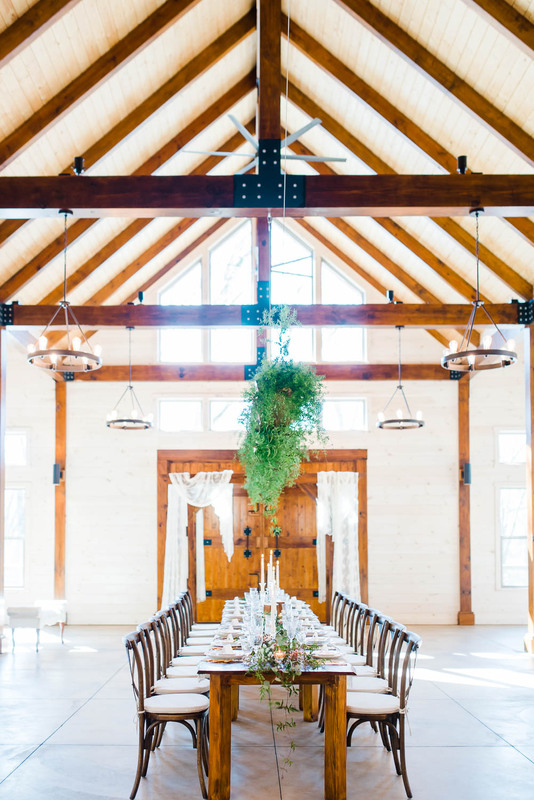 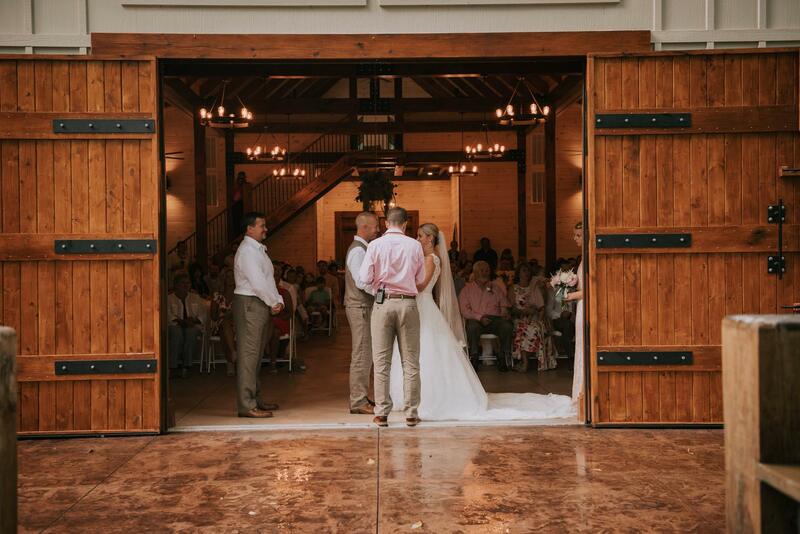 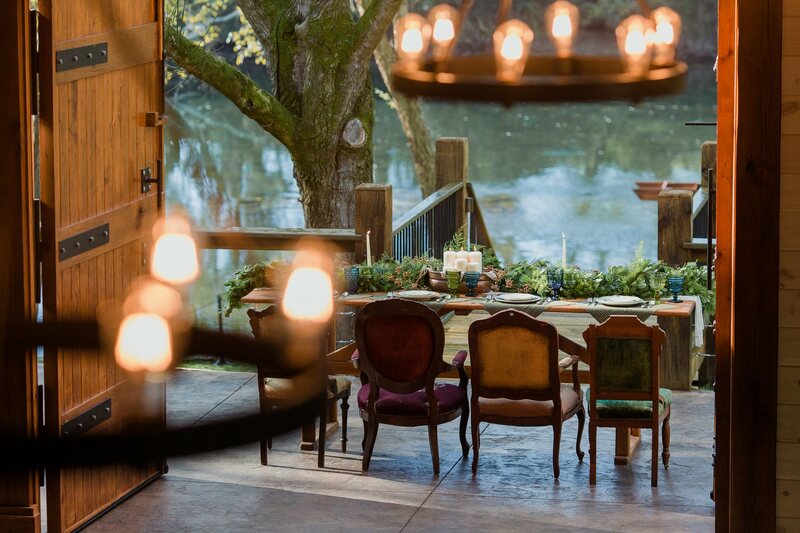 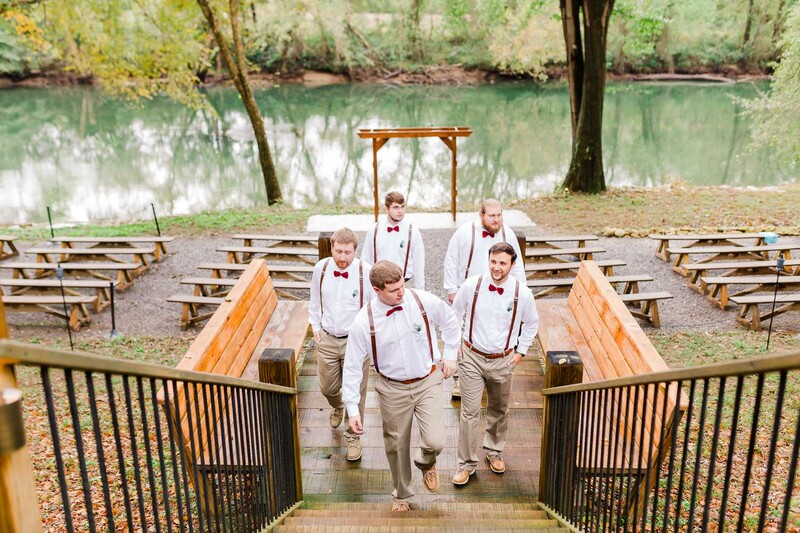 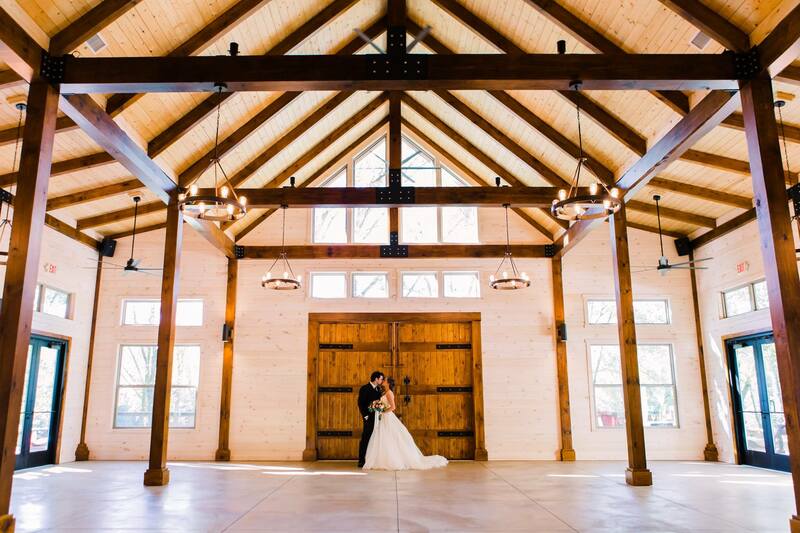 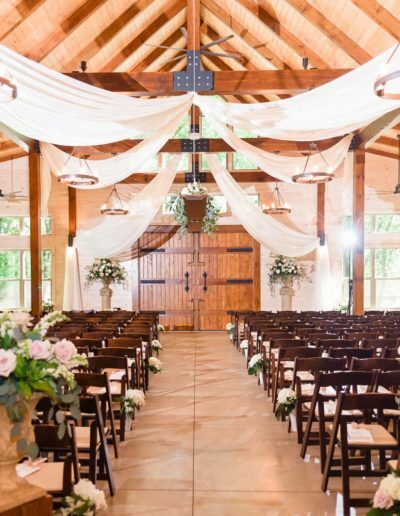 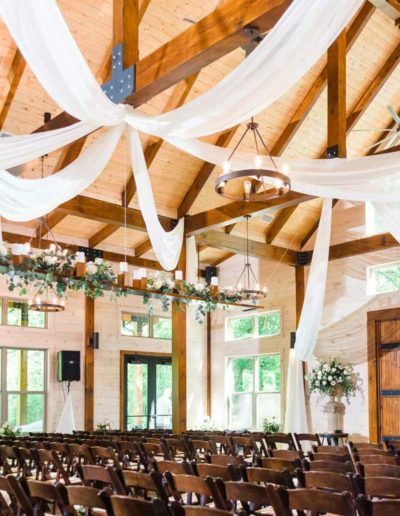 The venue is beautiful inside and out and the backdrop of the Hiwassee River is breathtaking. 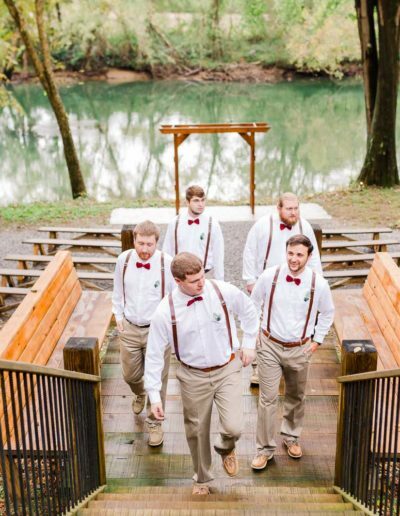 Highly recommended for any event. 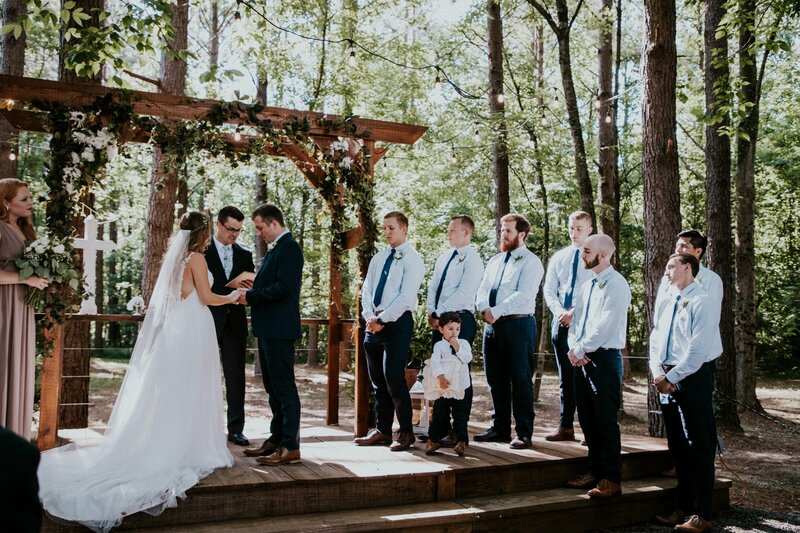 So very impressed. 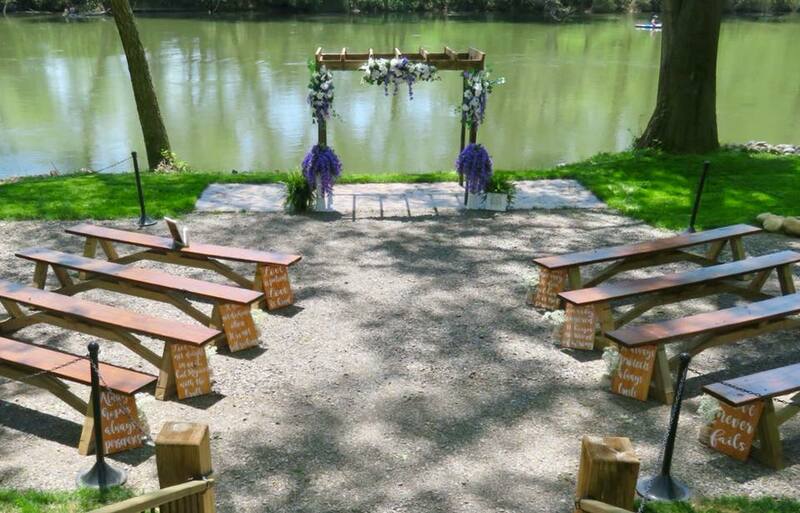 Beautiful, scenic location on the river and a great facility run by very nice people! 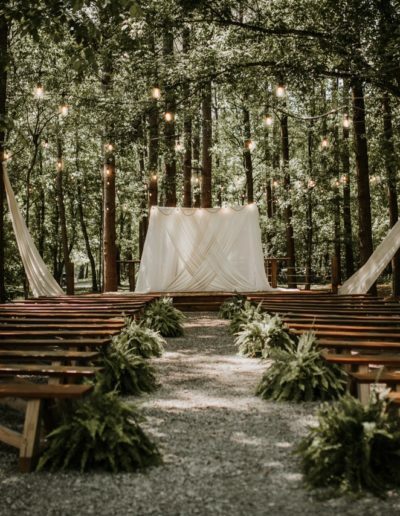 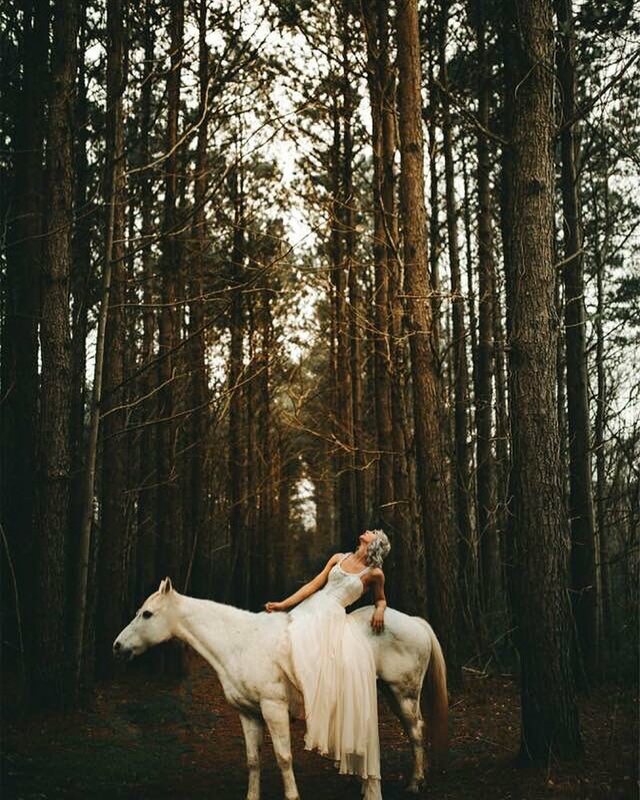 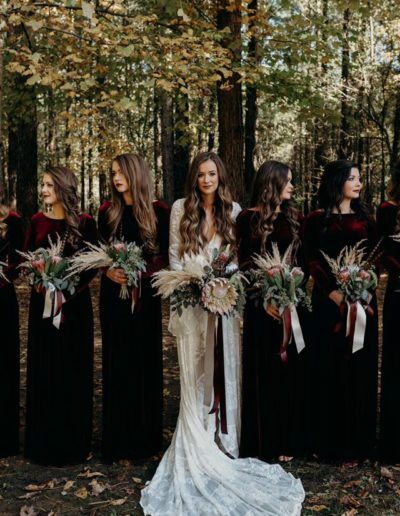 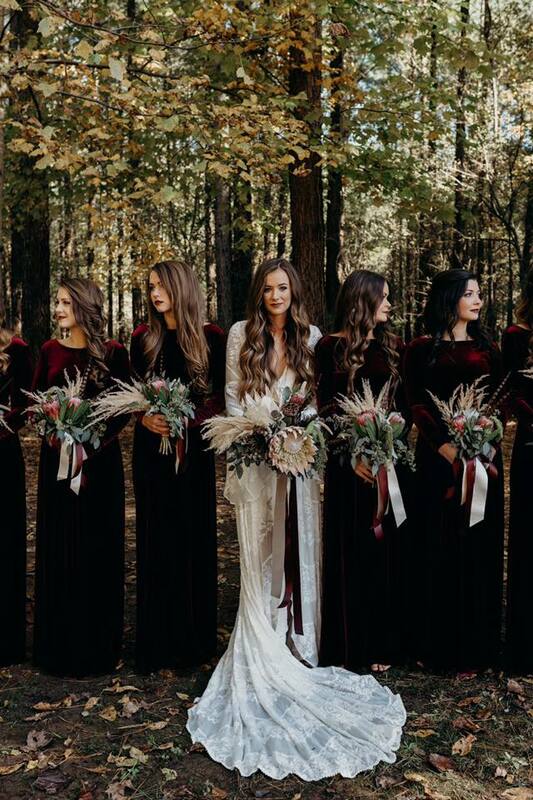 HRW literally went above and beyond to make my “simple” forest wedding become a dream wedding!!! 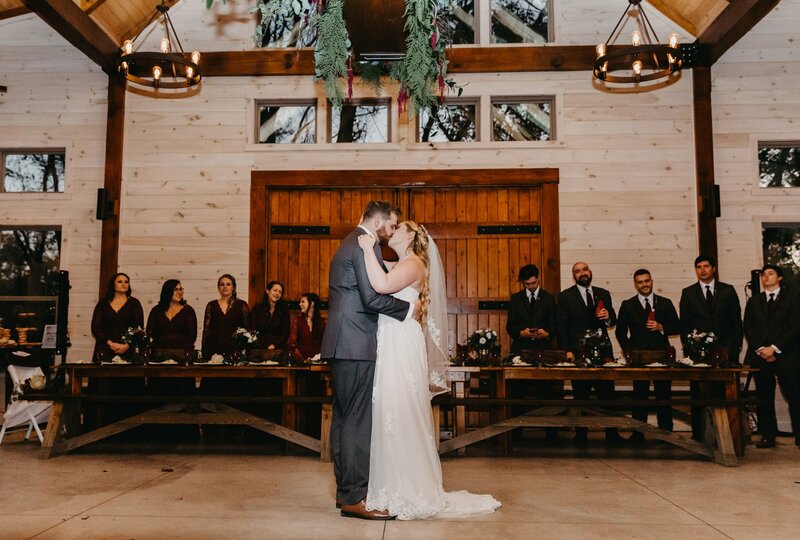 It was beyond what I ever imagined and I am so glad we chose HWR! 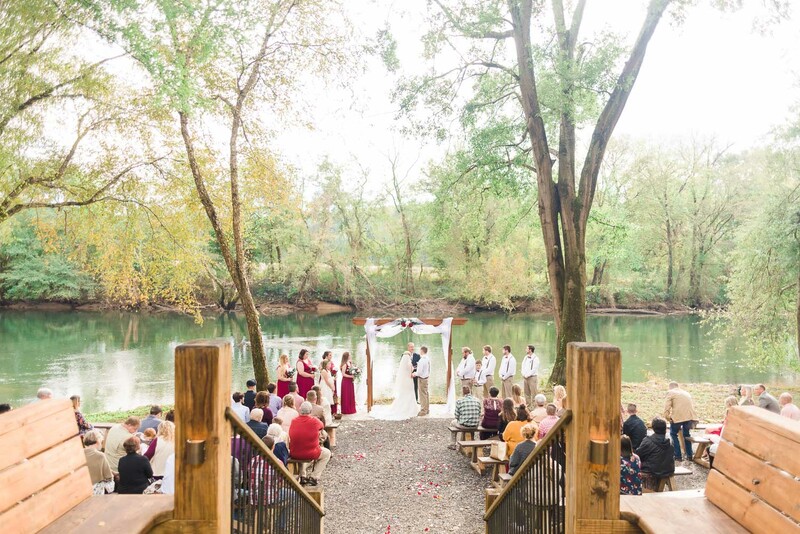 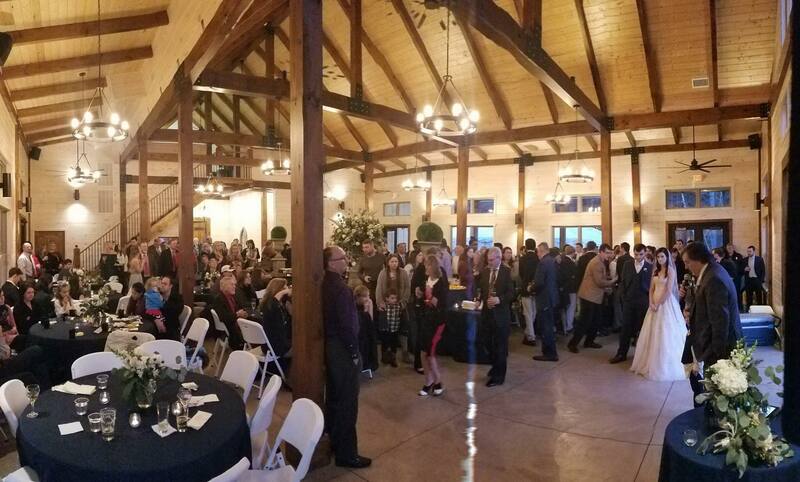 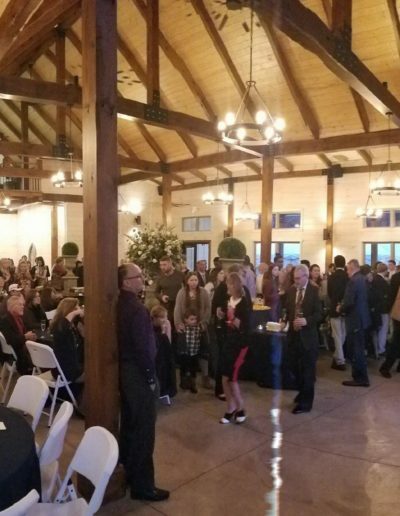 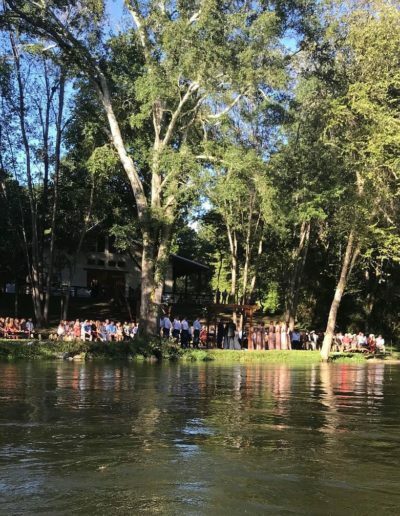 It was such a beautiful venue and the natural acoustics of both the timber-wood event center and the river were fantastic. 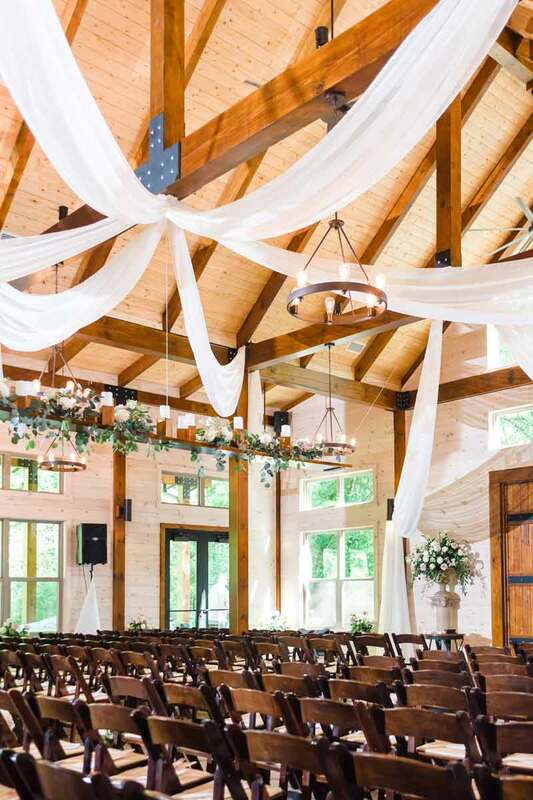 Right on the water, and the inside of the venue is absolutely gorgeous! 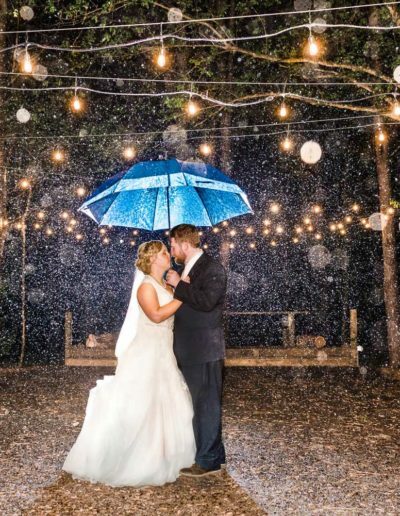 ...And back-up plans for weather issues. 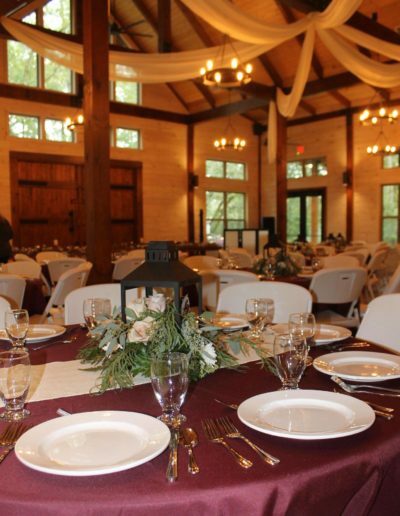 Such a beautiful venue… and are well equipped with back-up plans for weather issues. 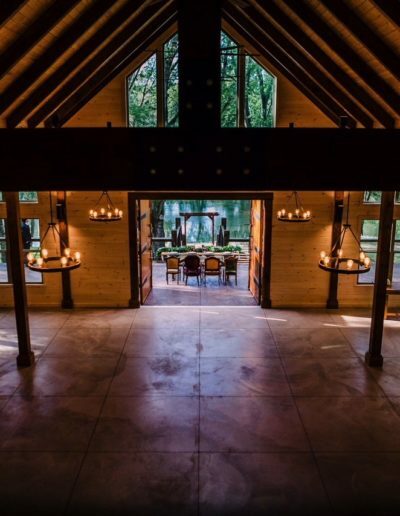 The venue itself is breathtaking. 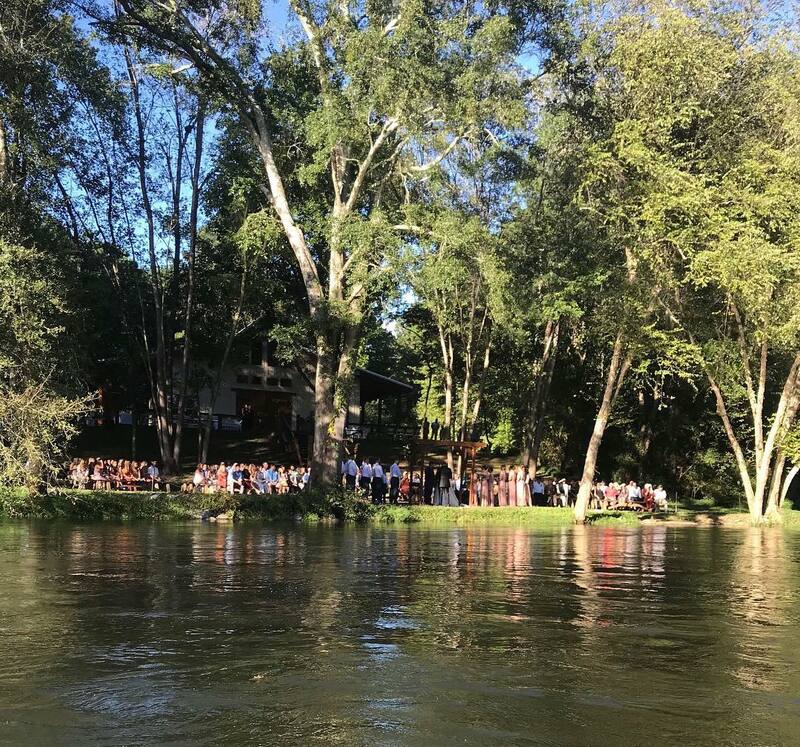 With several site options to choose from (forest/river/venue) there is certainly something for everyone!